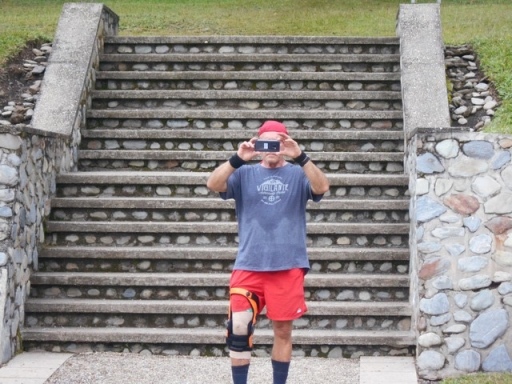 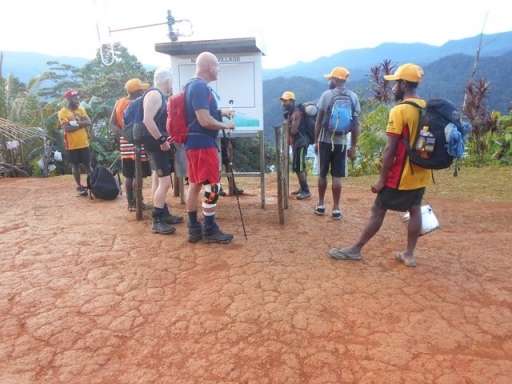 Trek 1149: Another trek commenced today, what we refer to as a ‘fast trek’ who are playing catch up to the other trek that commenced on the 10th July. 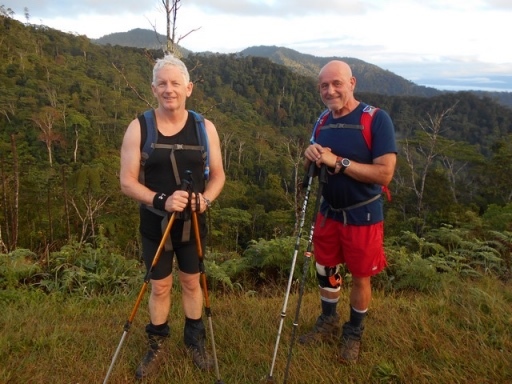 Both treks will walk off the track together at Owers’ Cnr on the 18th July. 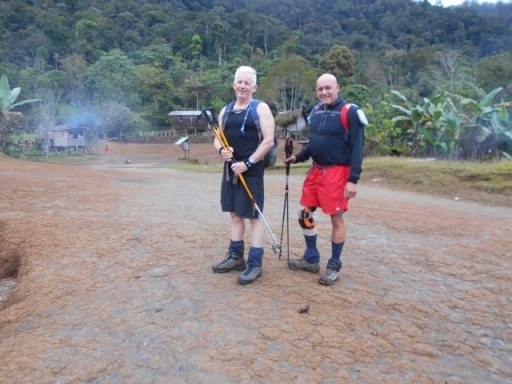 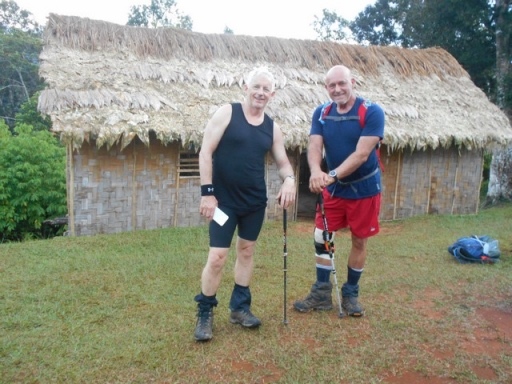 Trekkers are: Stephen McCarthy and Norman Howe back for their 2nd walk with us and our KTL boys. 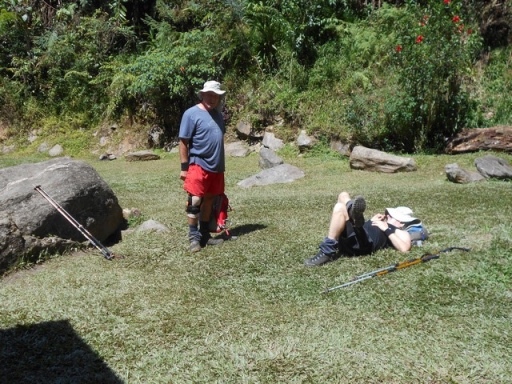 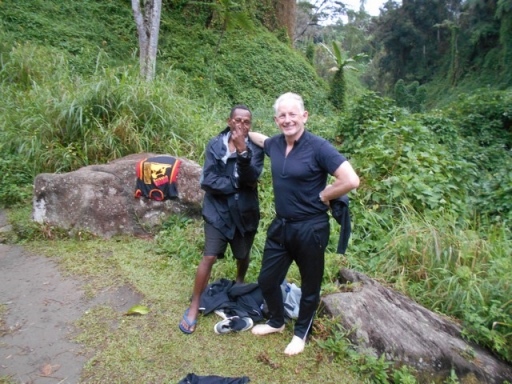 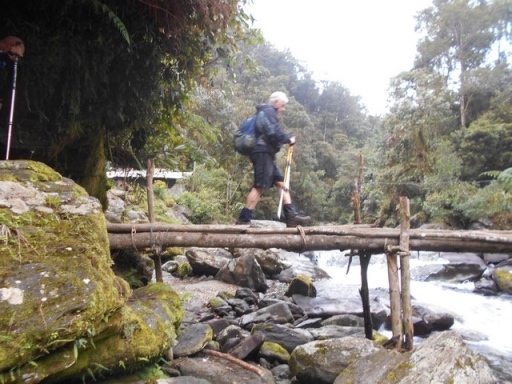 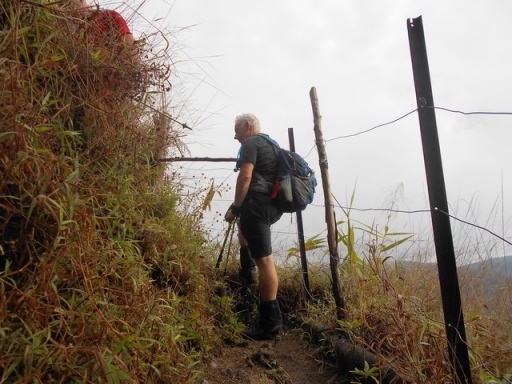 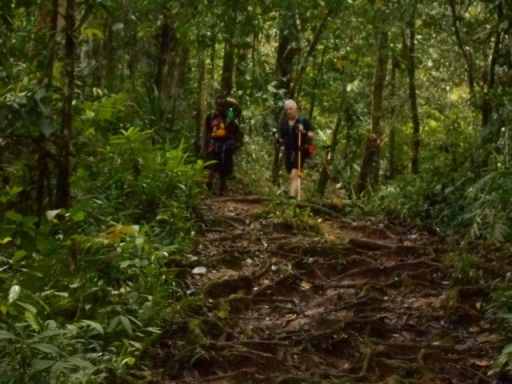 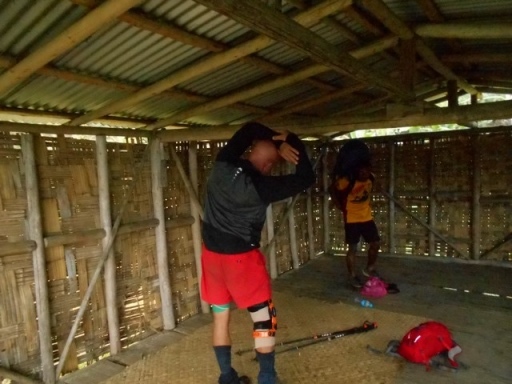 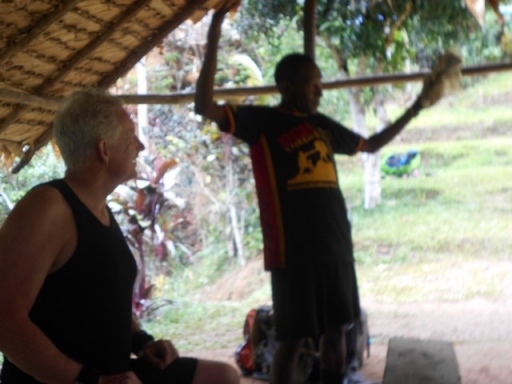 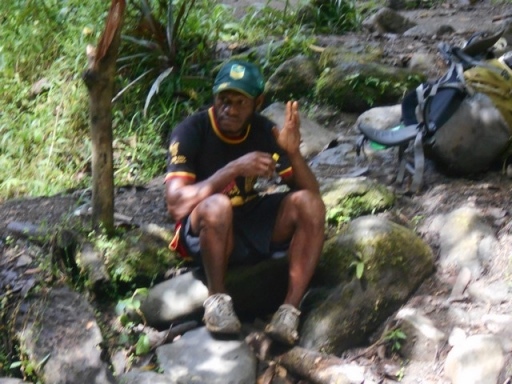 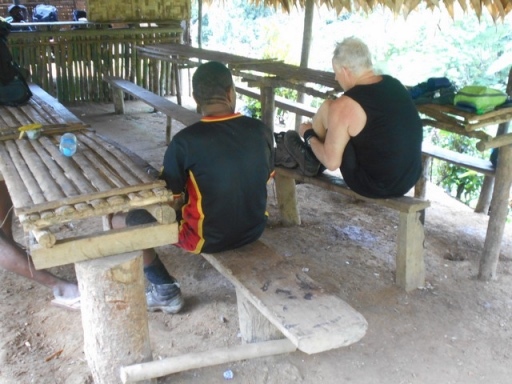 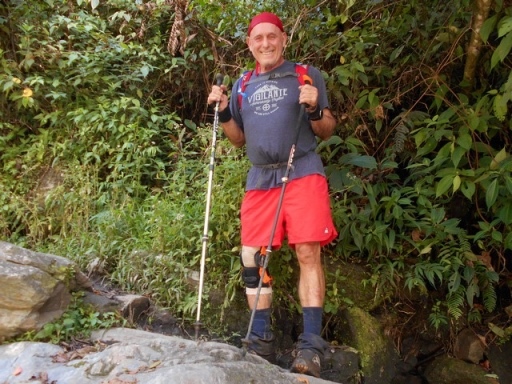 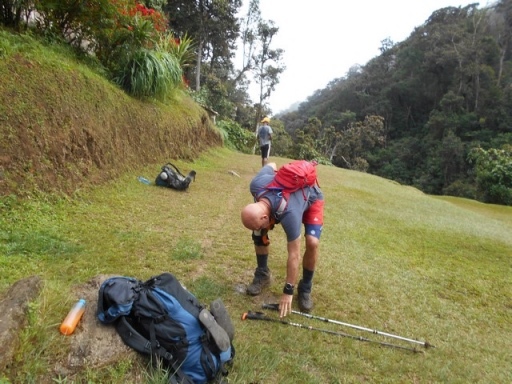 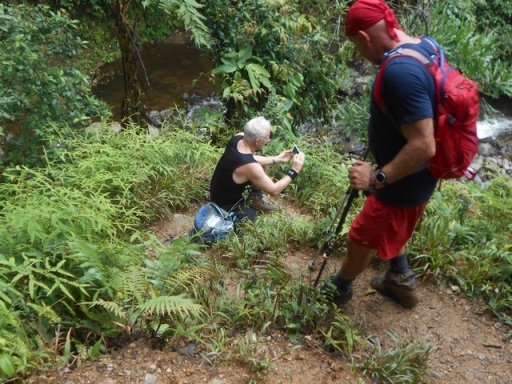 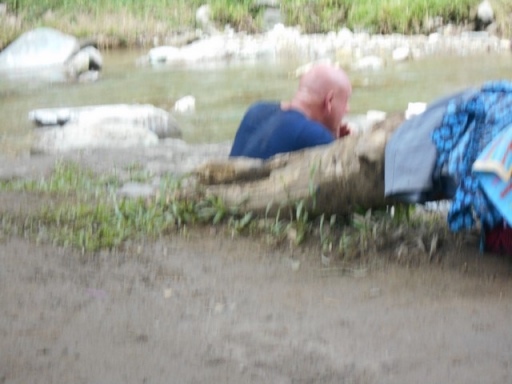 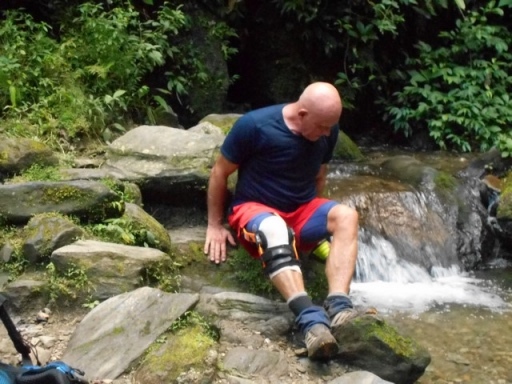 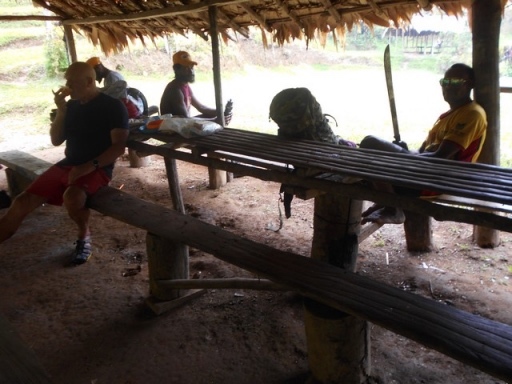 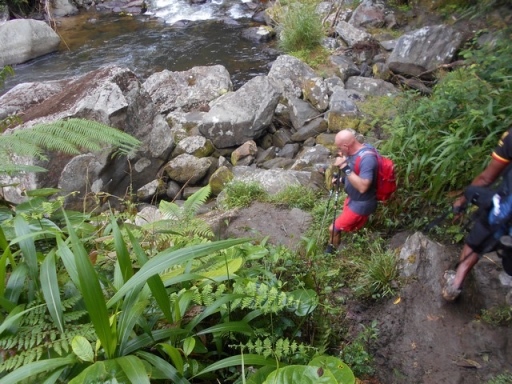 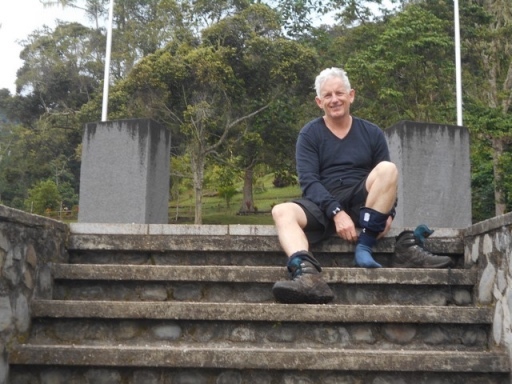 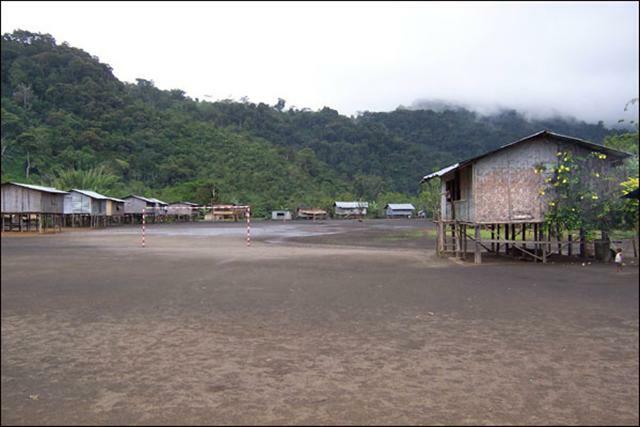 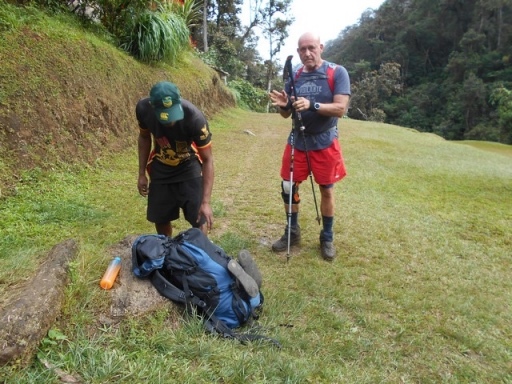 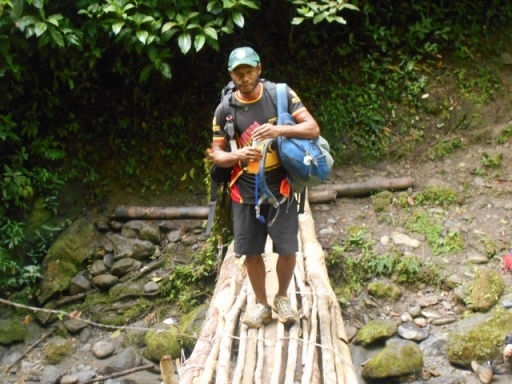 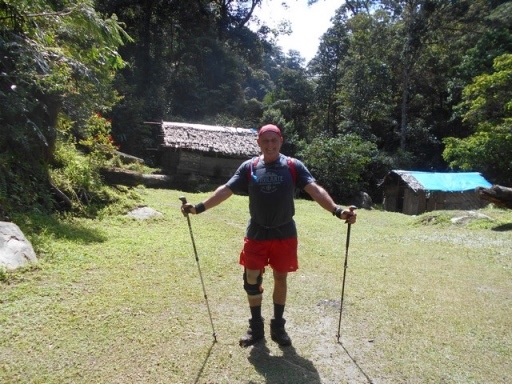 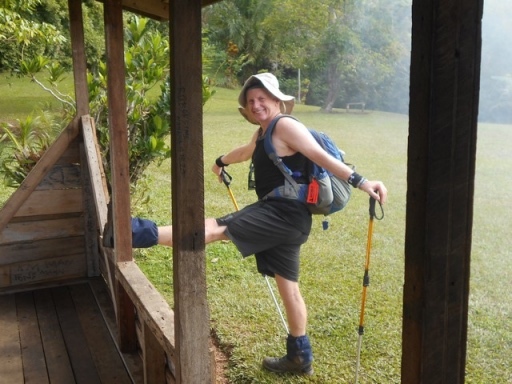 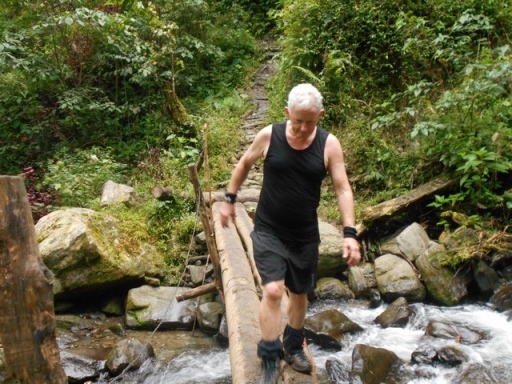 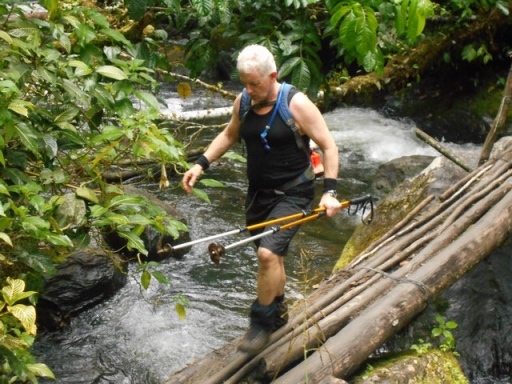 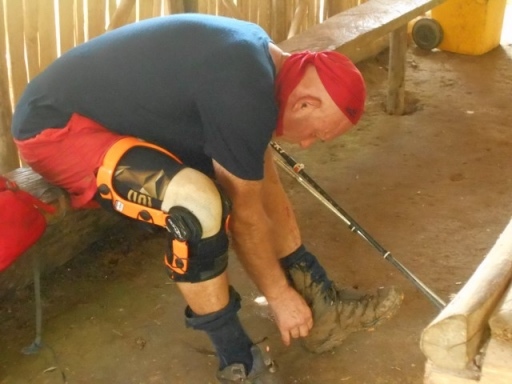 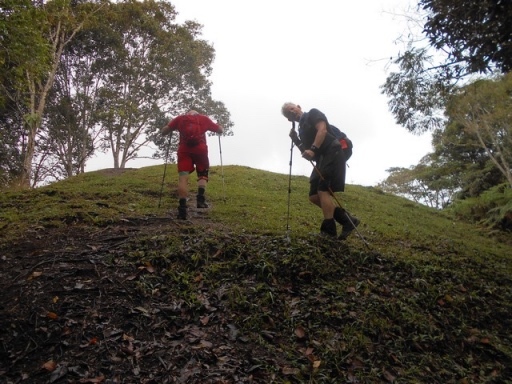 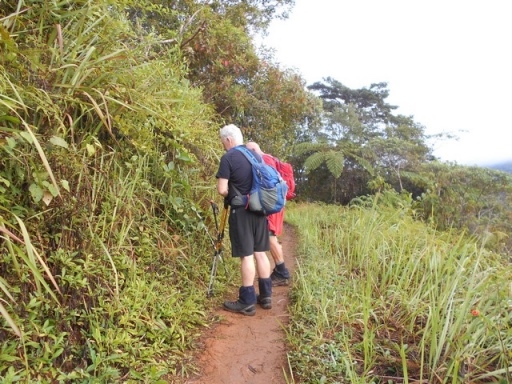 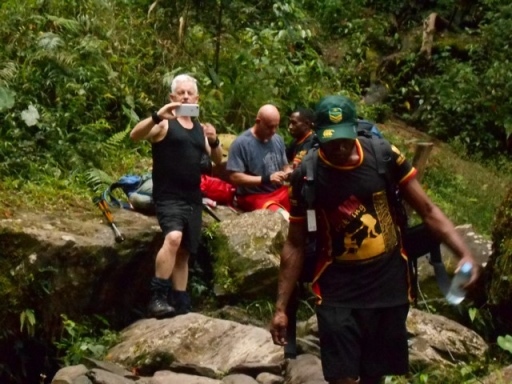 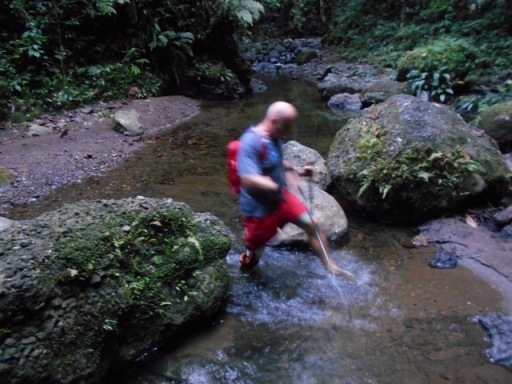 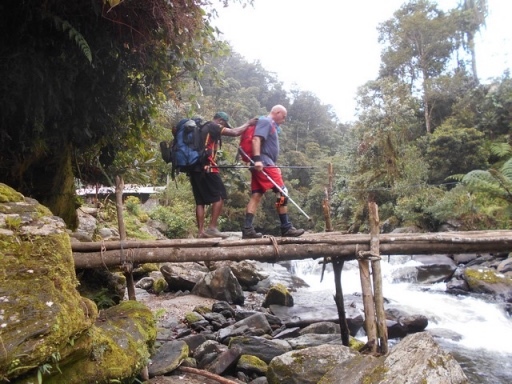 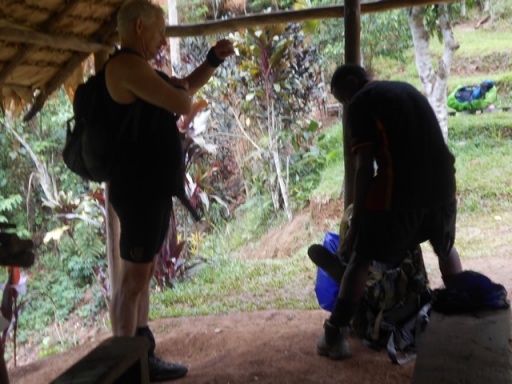 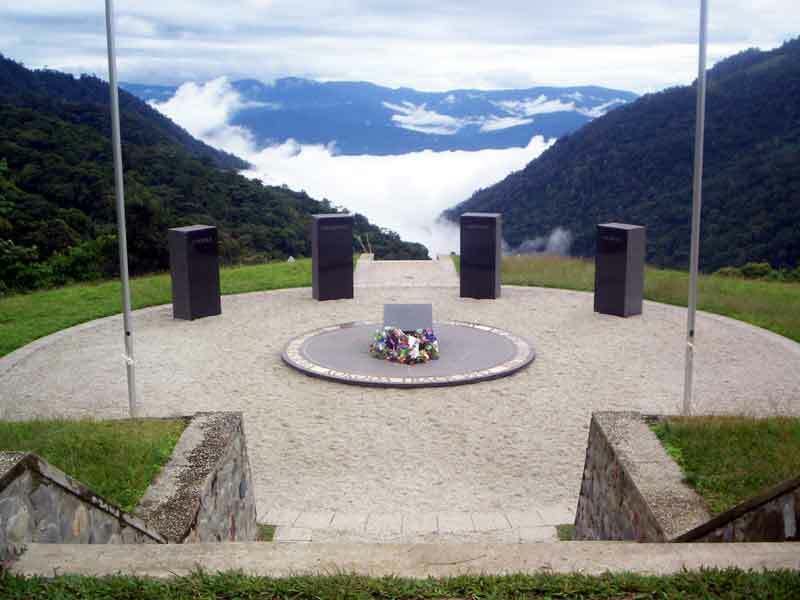 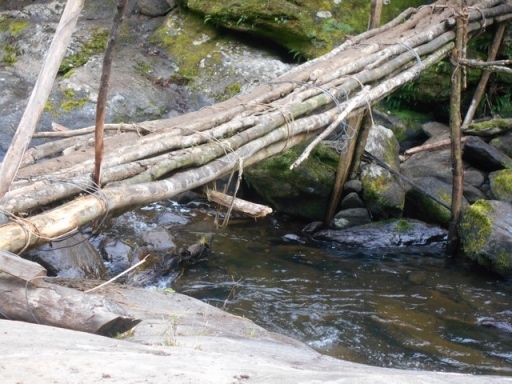 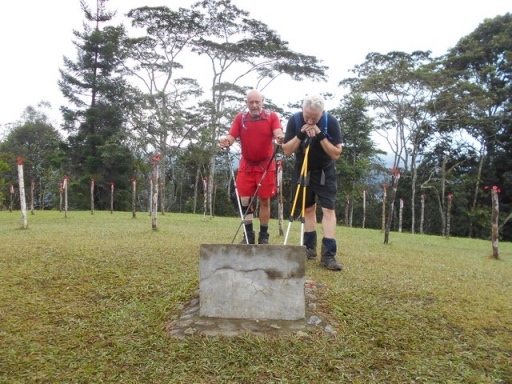 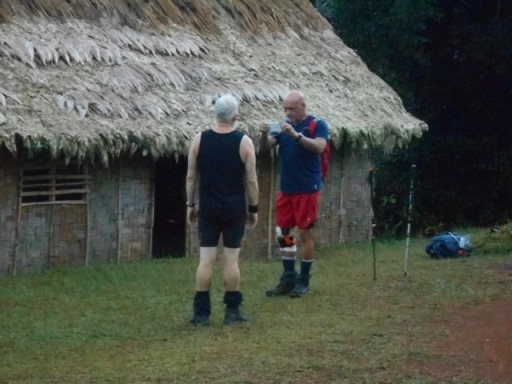 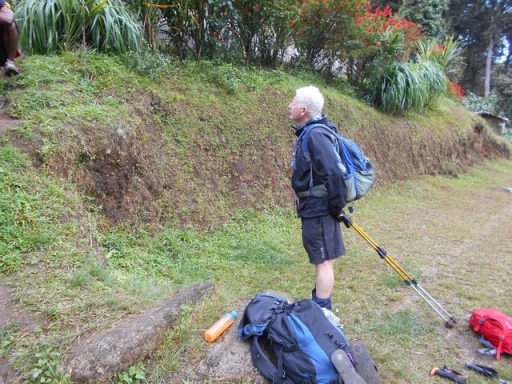 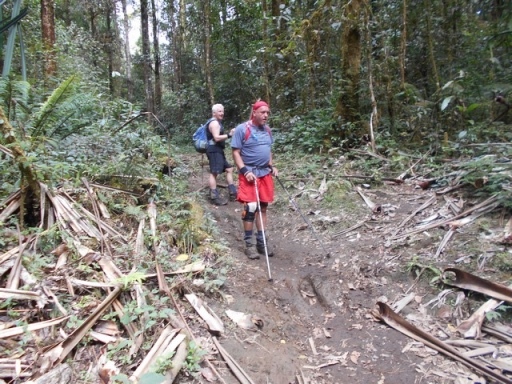 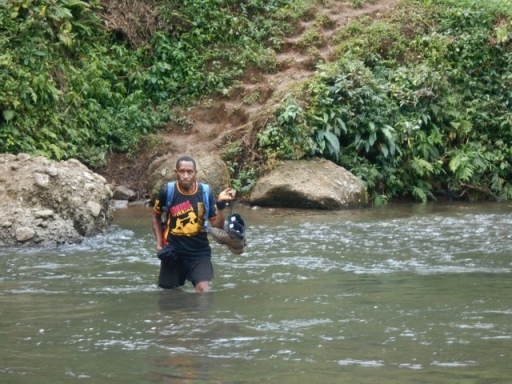 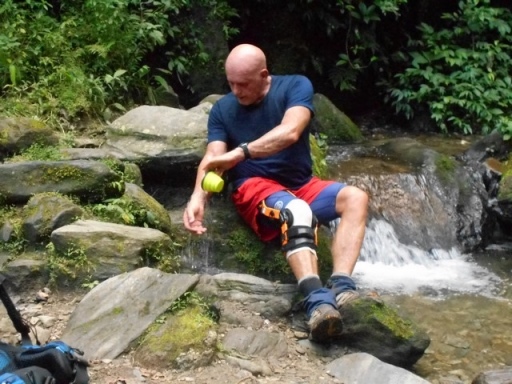 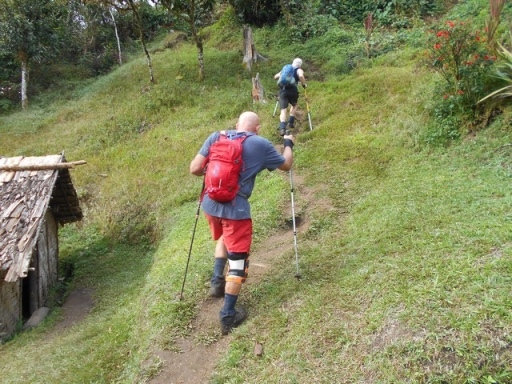 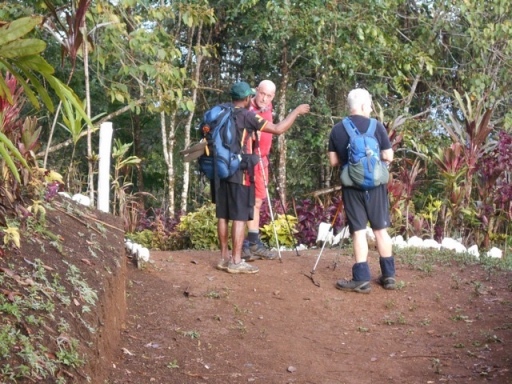 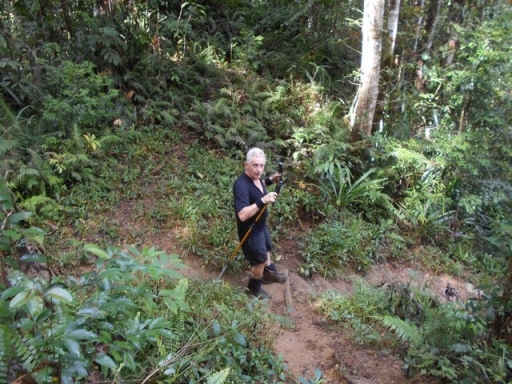 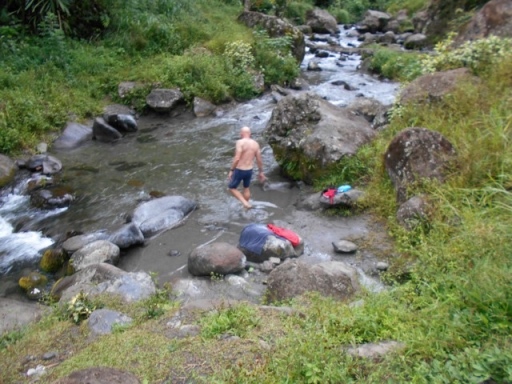 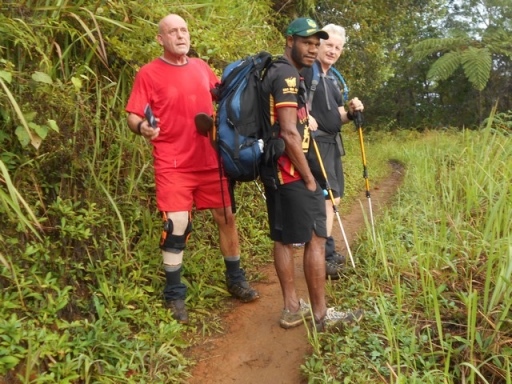 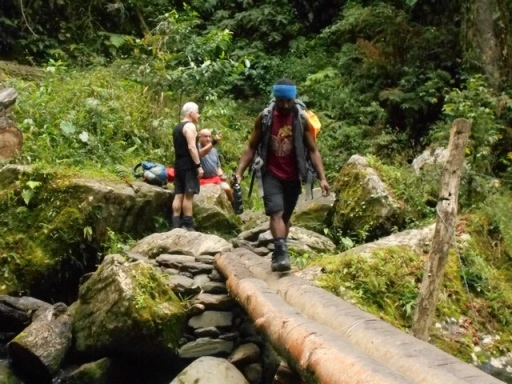 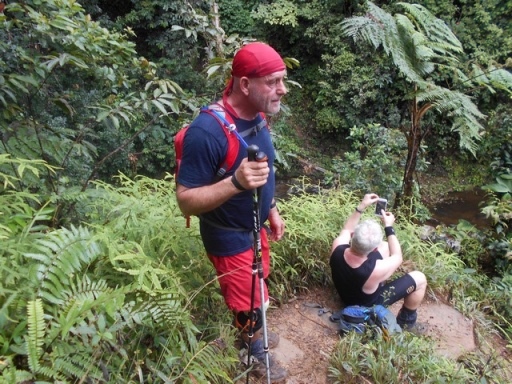 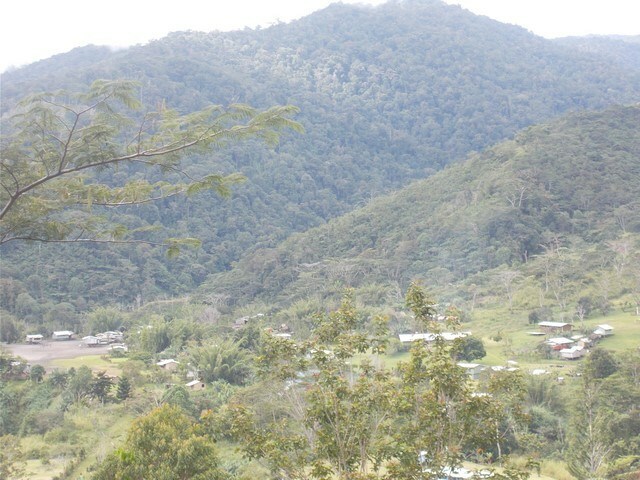 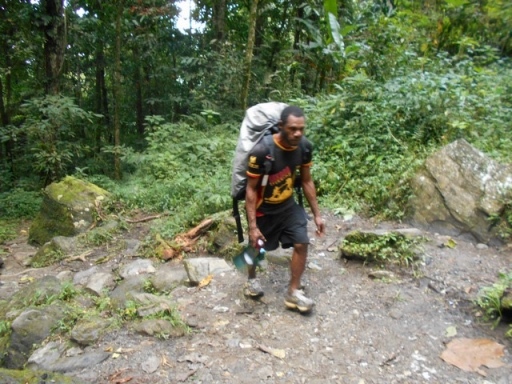 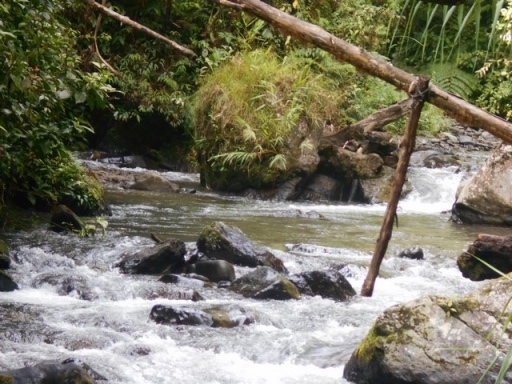 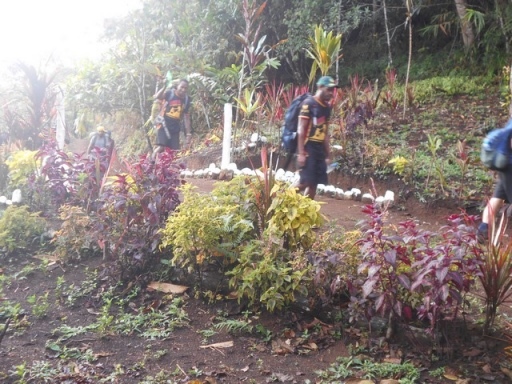 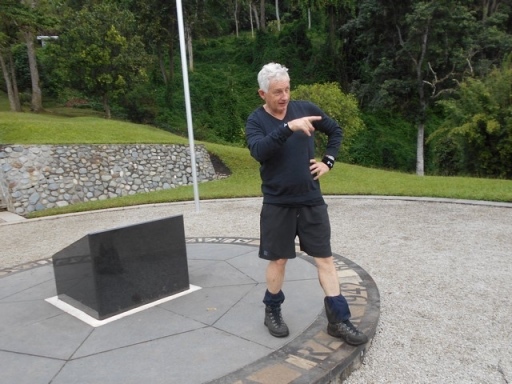 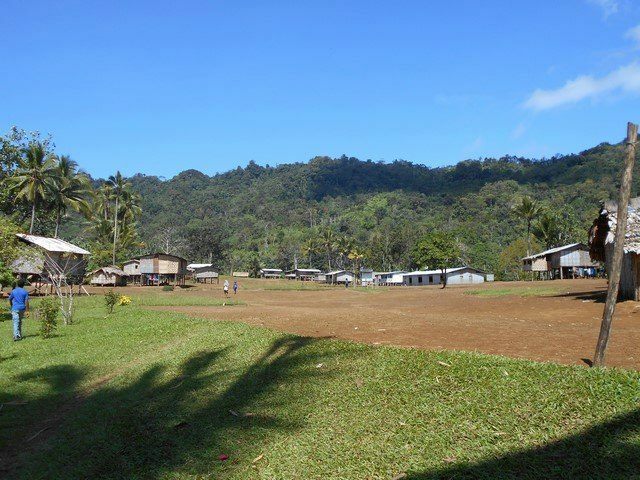 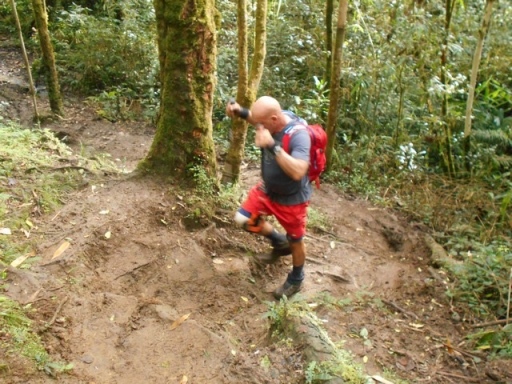 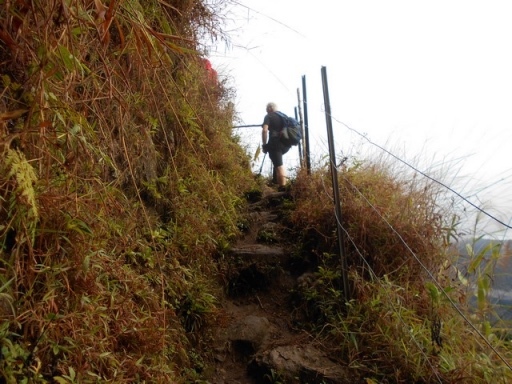 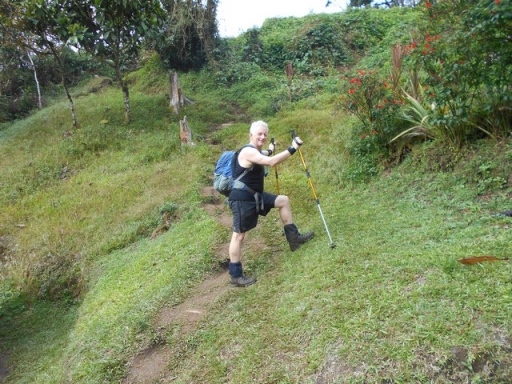 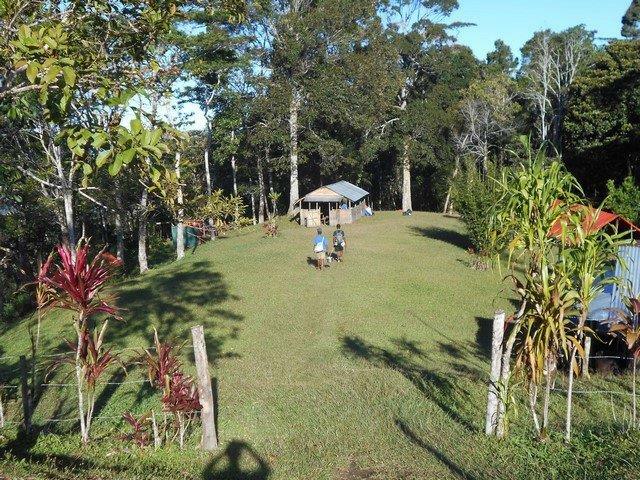 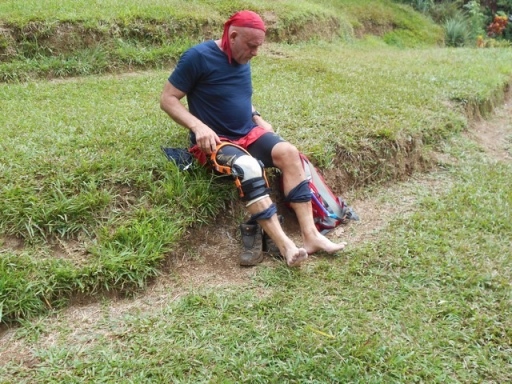 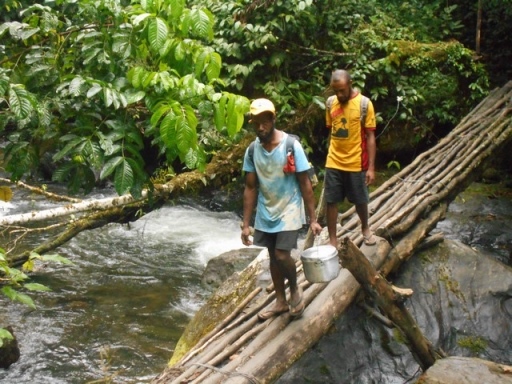 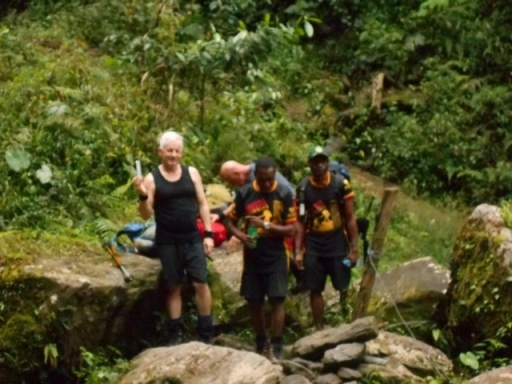 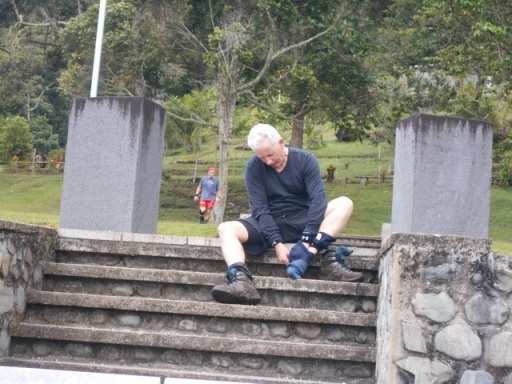 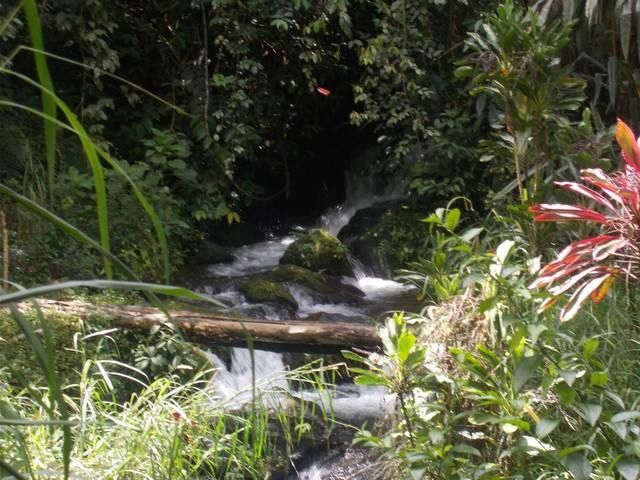 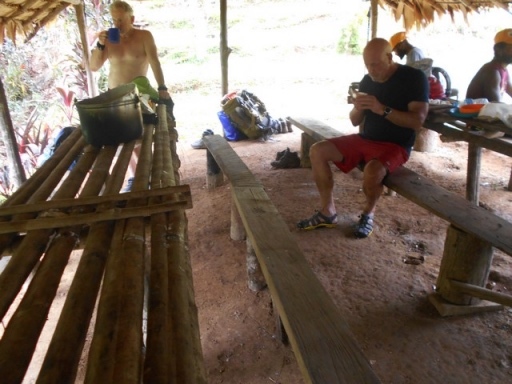 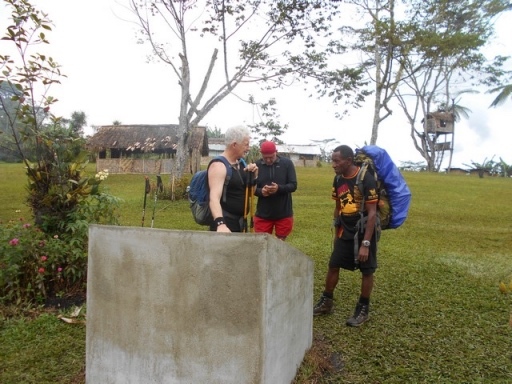 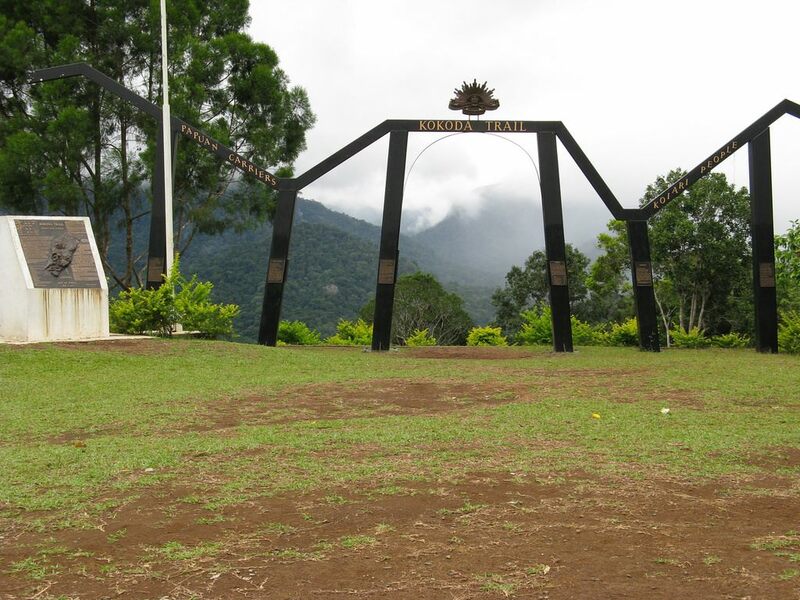 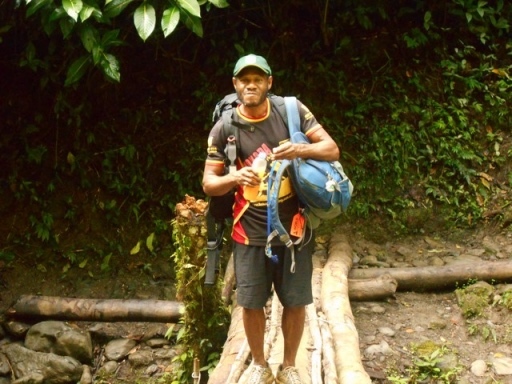 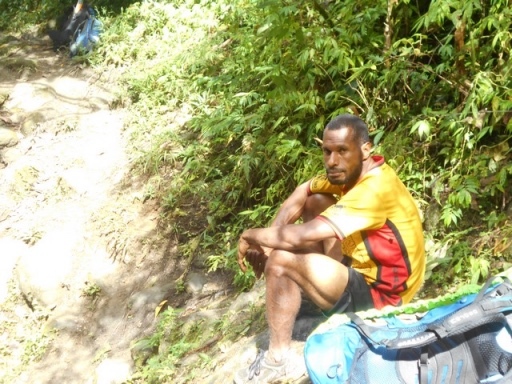 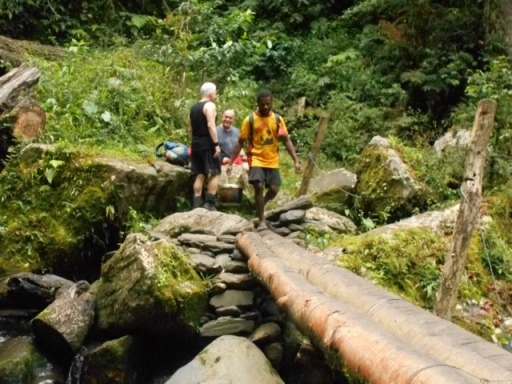 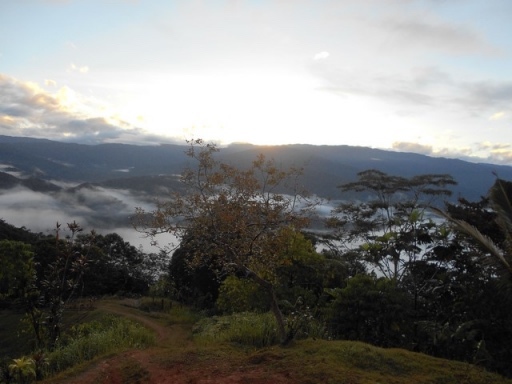 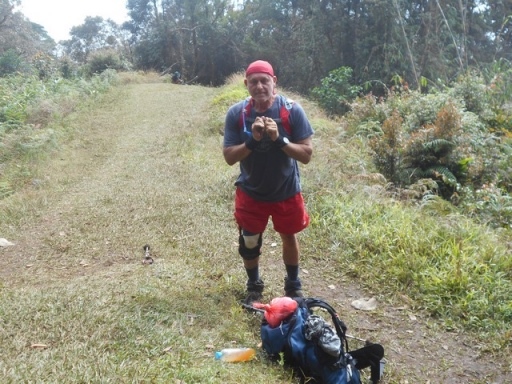 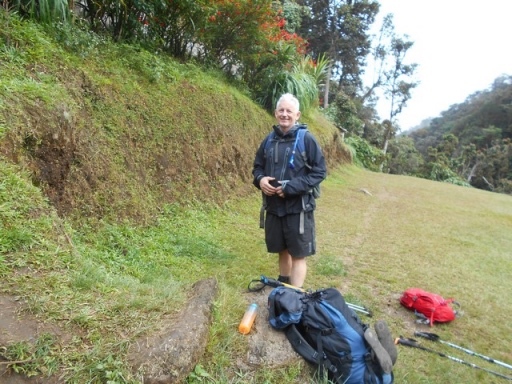 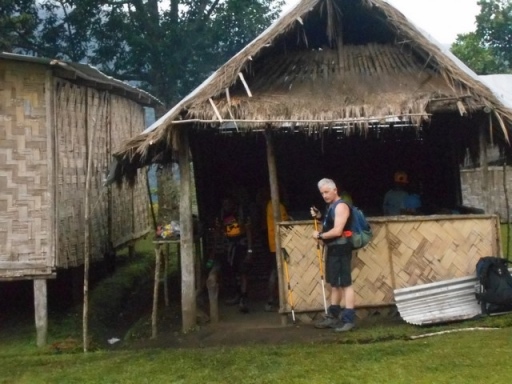 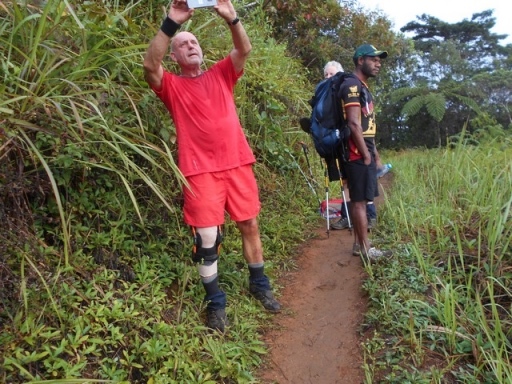 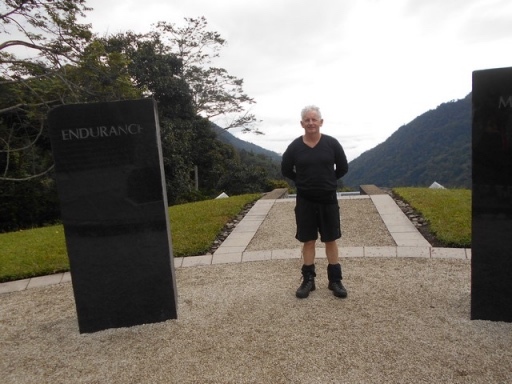 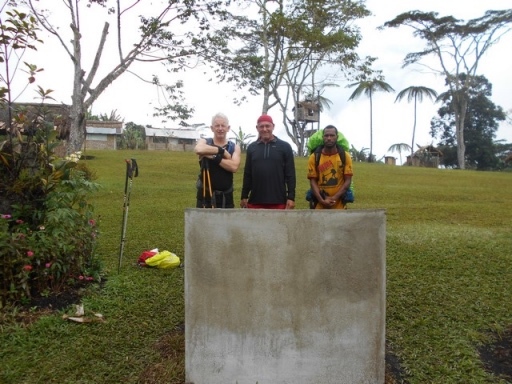 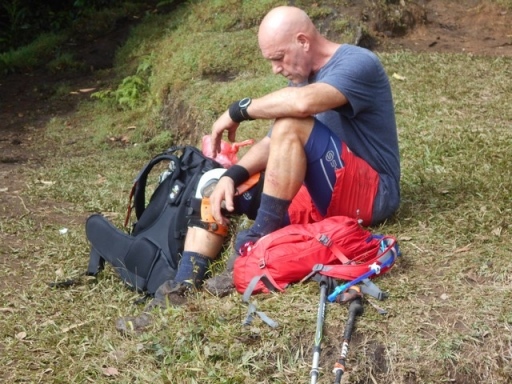 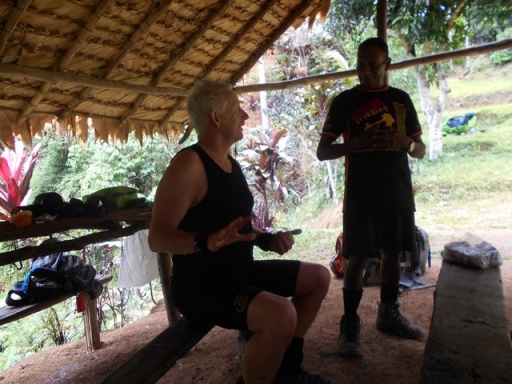 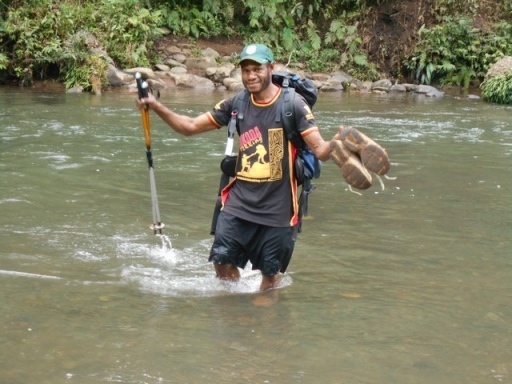 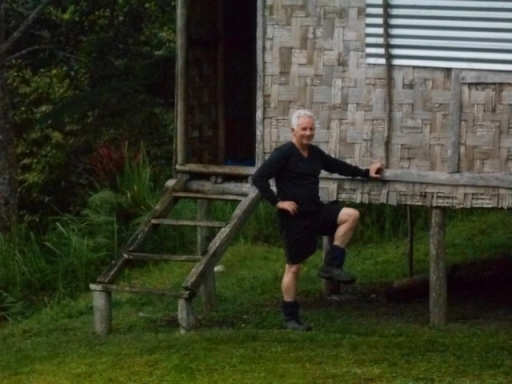 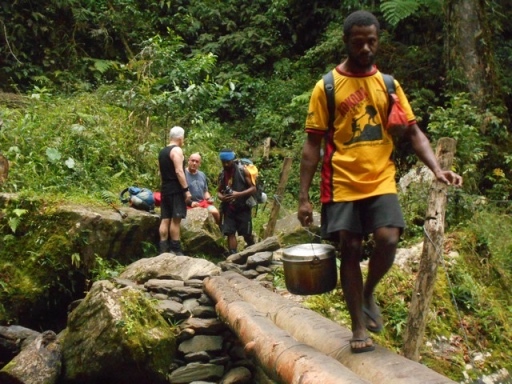 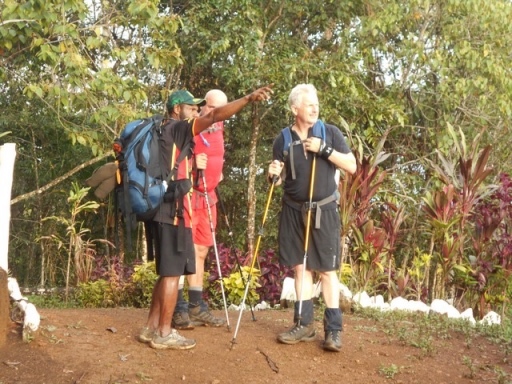 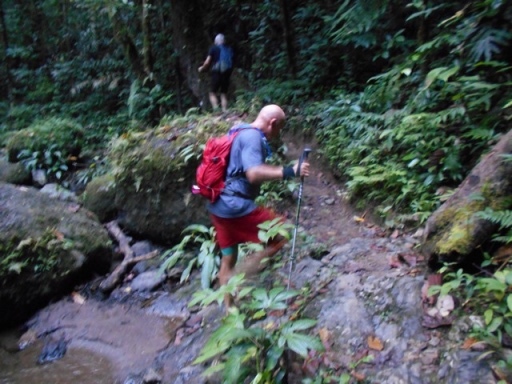 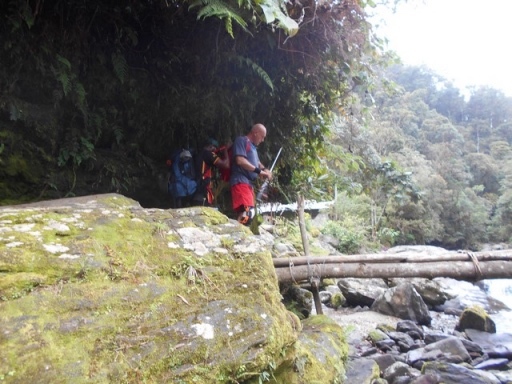 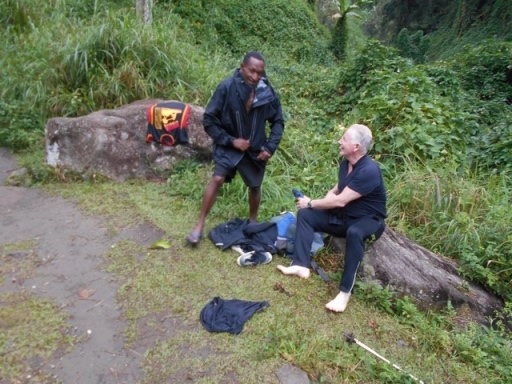 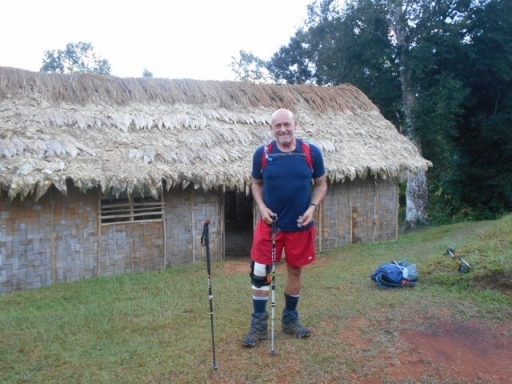 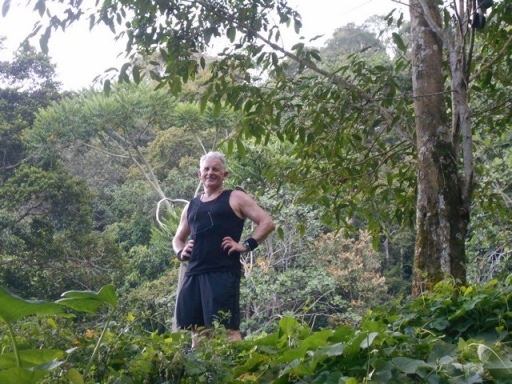 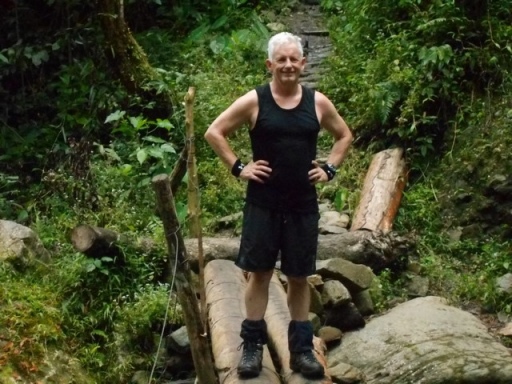 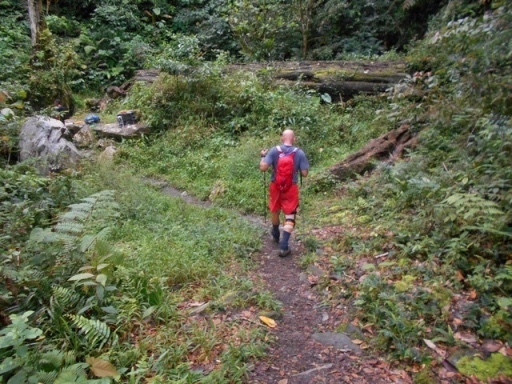 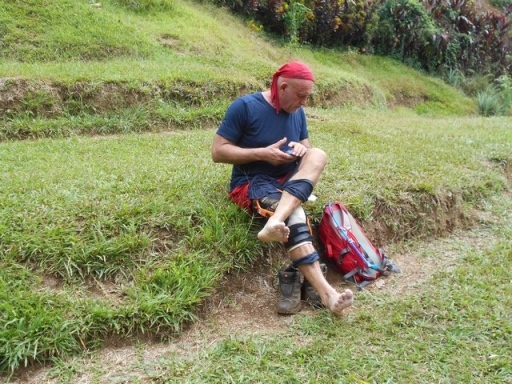 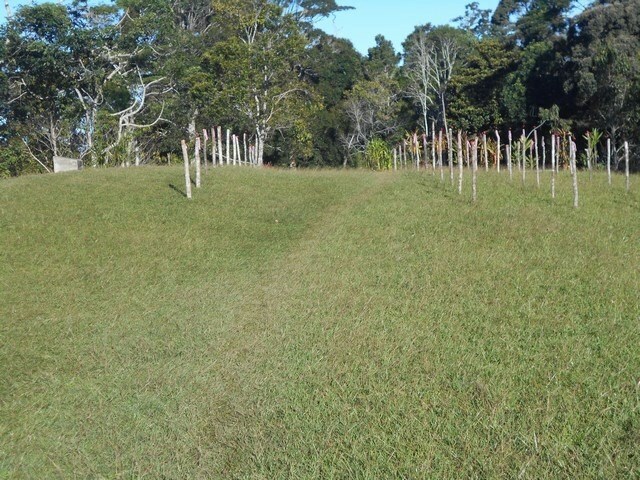 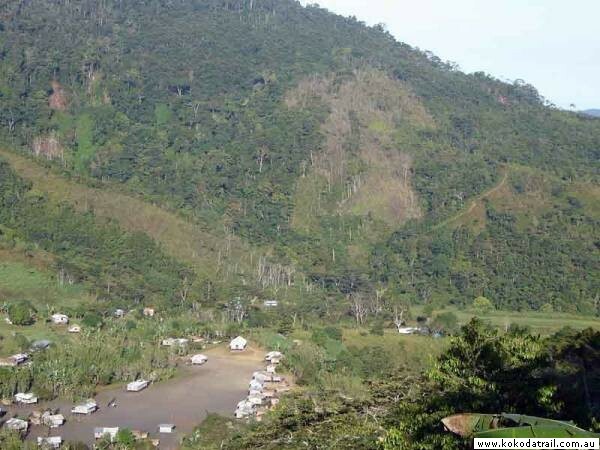 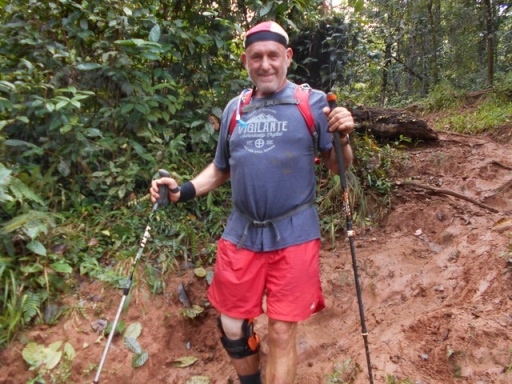 The guide for this trek is Ramsy Idau from Saga Village in Kokoda. 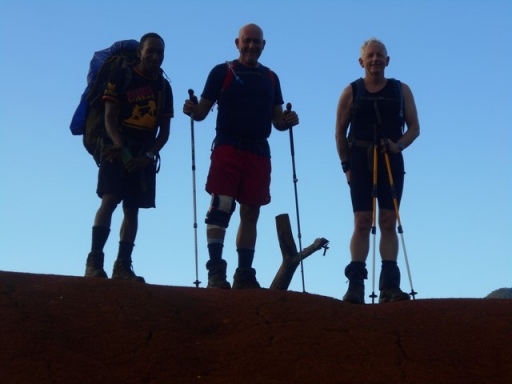 Accompanying this group is Tom Hango; Jessie Aire; Lancelot and Mathias Geroia. 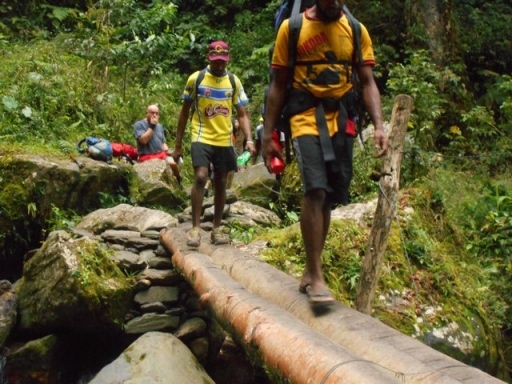 Tagging along because they did not want to fly is Kingsley and Solomon Eroro making their way in for their trek on the 18th July. 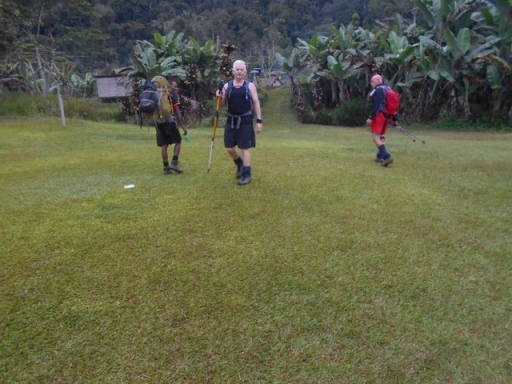 Trek 1149: This trek were on the move early this morning and are now settled for the night near the foot of Mt Bellamy with tomorrow seeing them passing the half way point of Efogi. 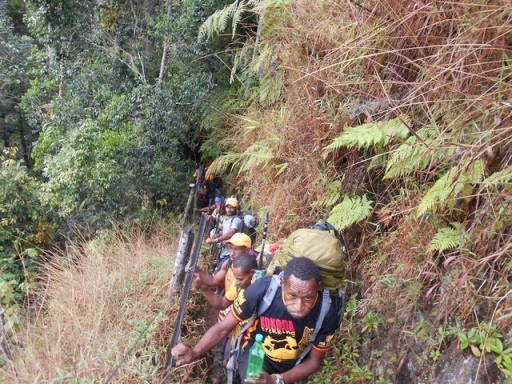 Having walked the track before, settling for a shorter trek shows they must be up for the challenge. 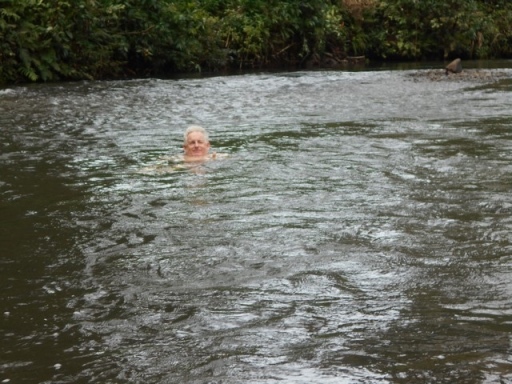 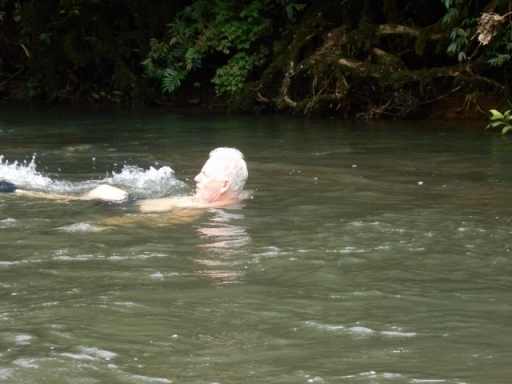 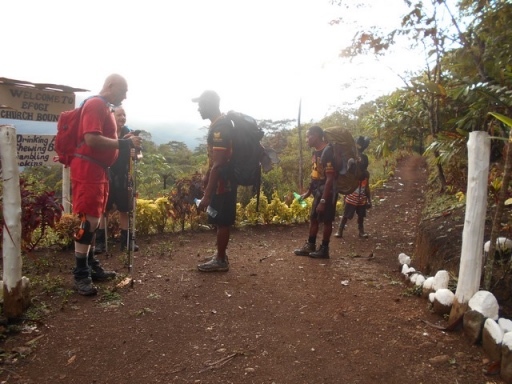 Trek 1149: This trek has now reached the half way point of Efogi around 5pm this afternoon. 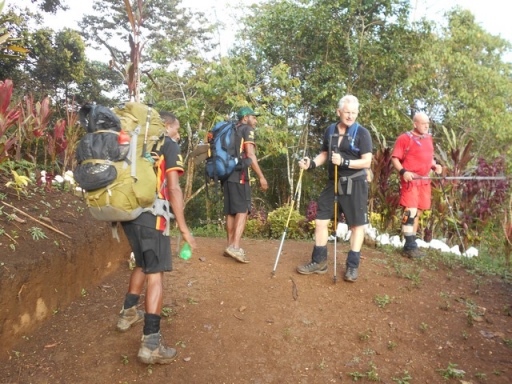 Tomorrow another big day ahead of them as they will need to reach Nauro tomorrow night to keep up with their schedule. 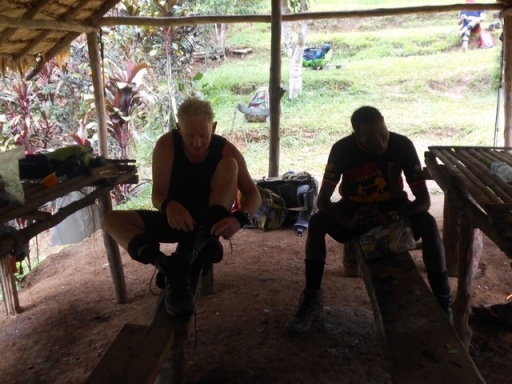 Trek 1149: This trek have passed the half way point and Menari and tomorrow will walk through Nauro Village and work their way further down the track towards Owers’ Corner. 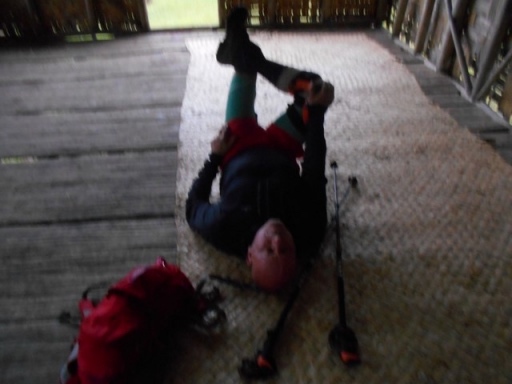 Trek 1149: I received a phone call from an excited Ramsy Idau this morning from Maguli Range saying they were on target and heading towards finishing at Owers’ Corner come tomorrow morning. 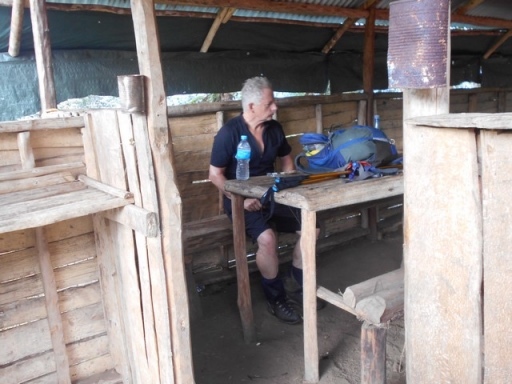 Stephen was a bit sick yesterday but is ok today. 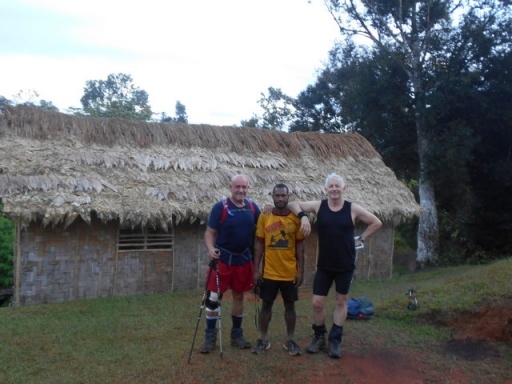 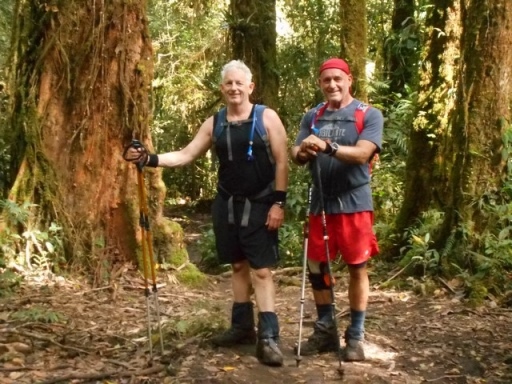 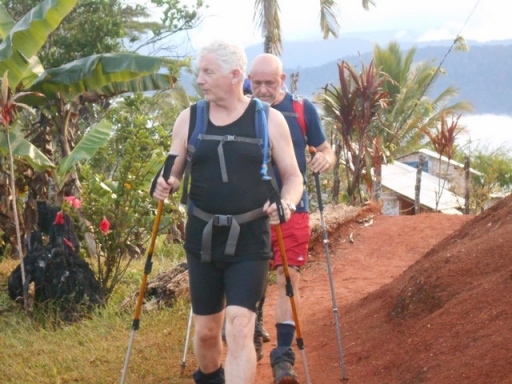 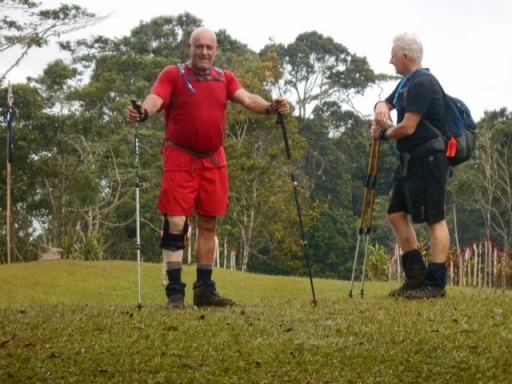 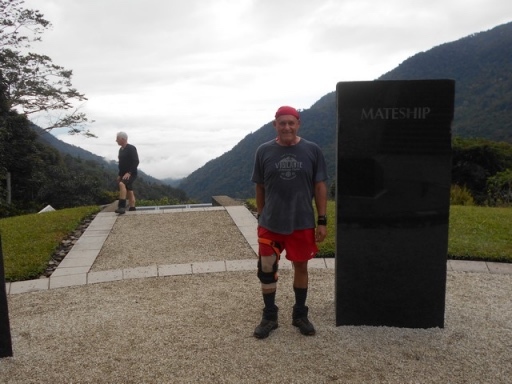 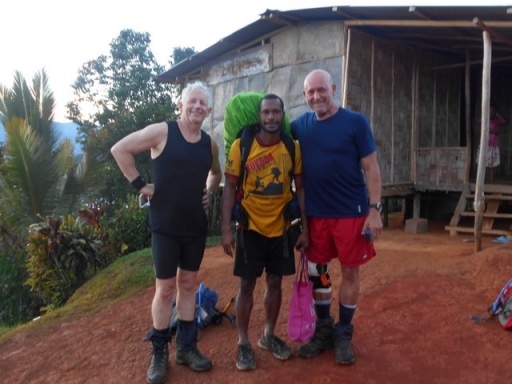 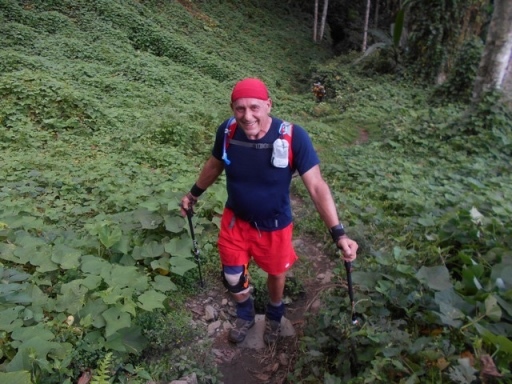 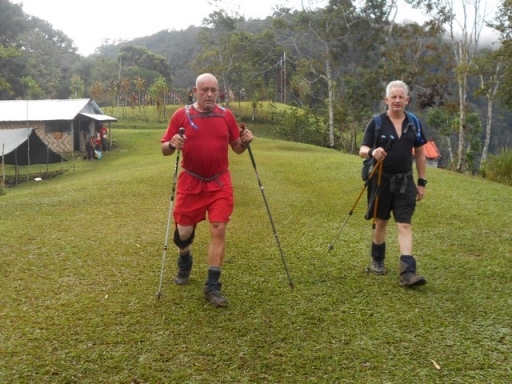 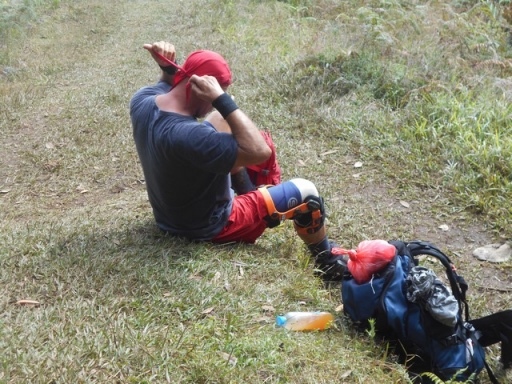 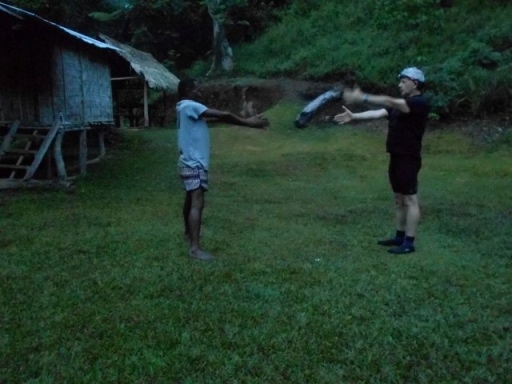 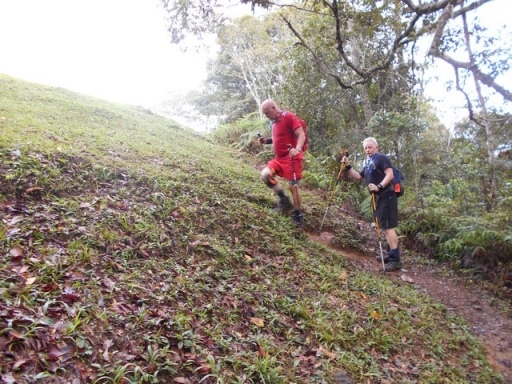 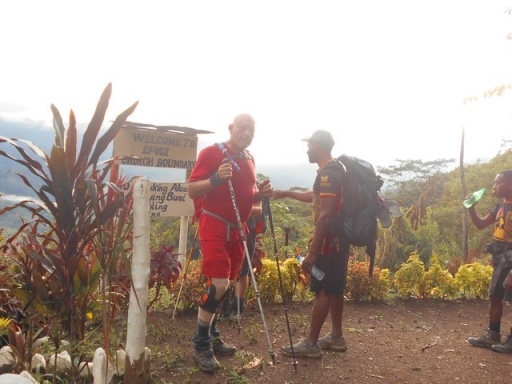 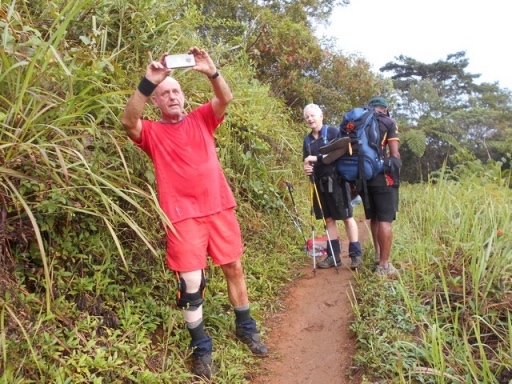 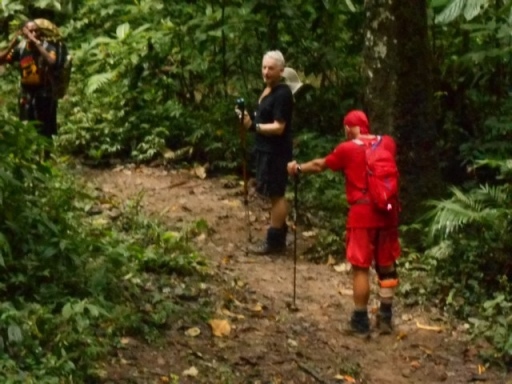 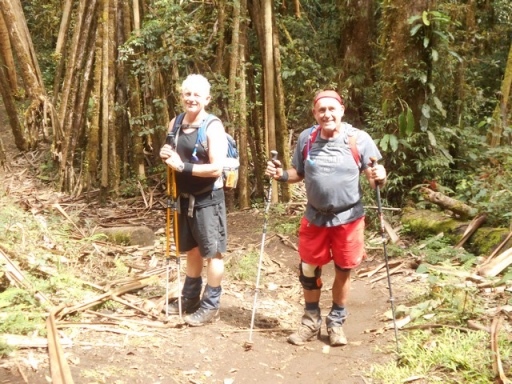 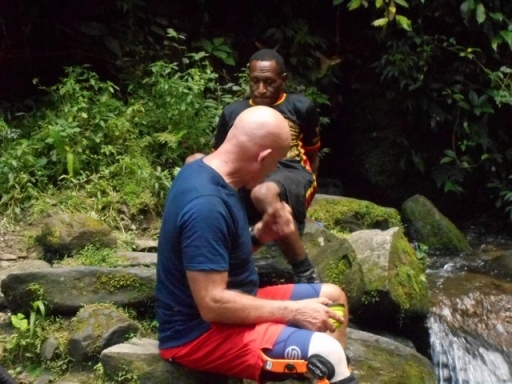 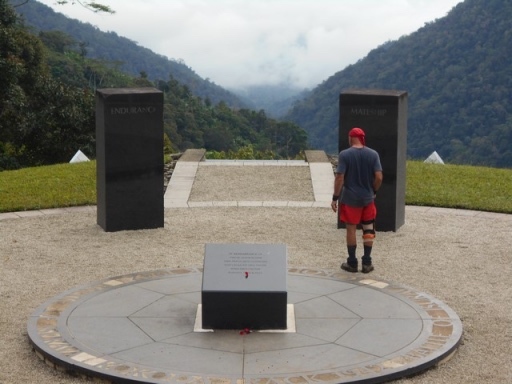 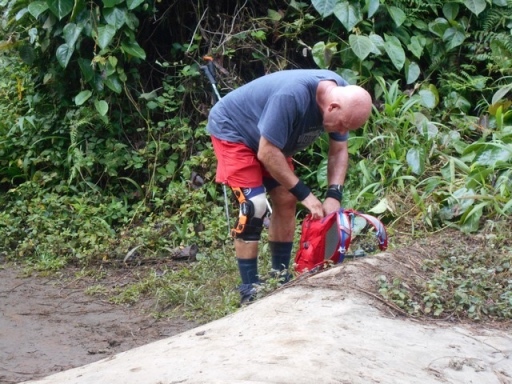 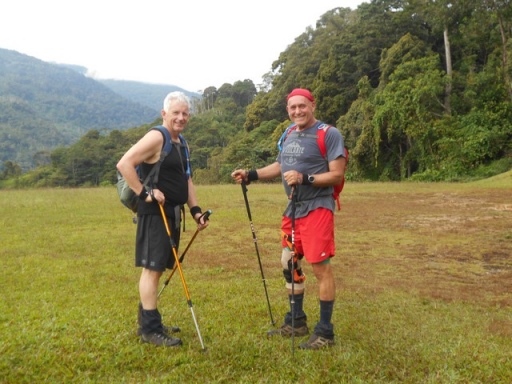 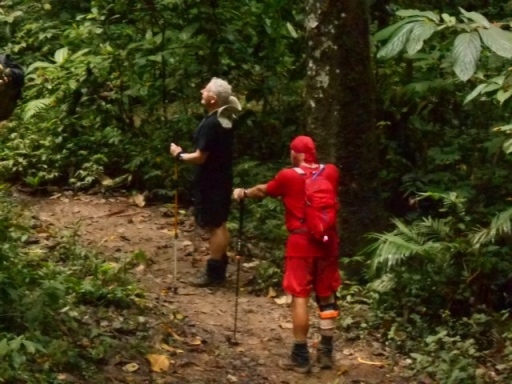 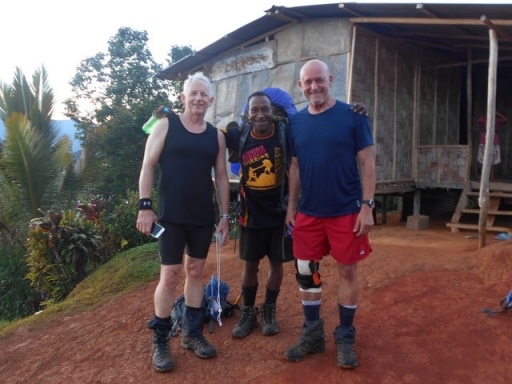 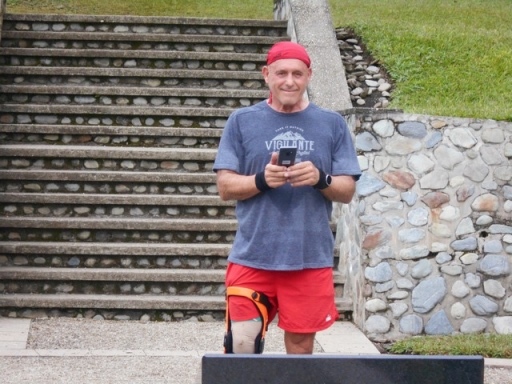 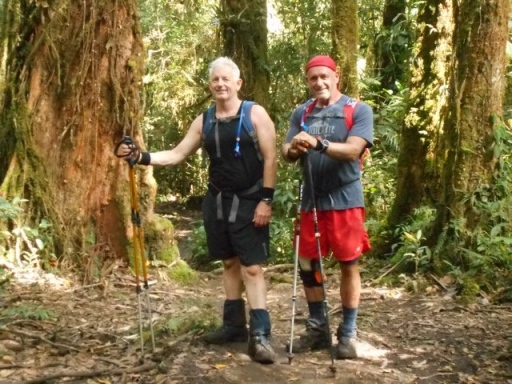 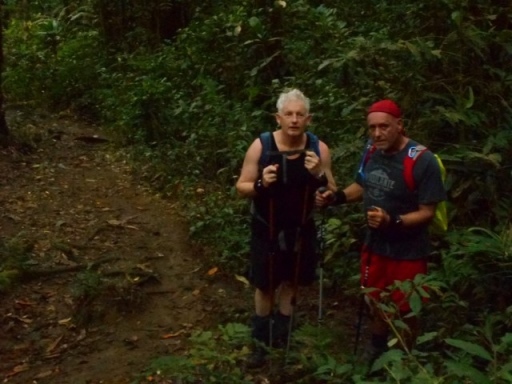 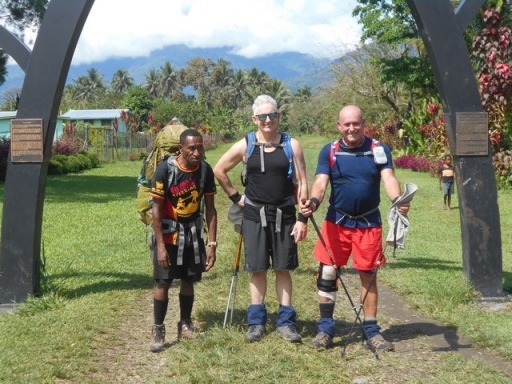 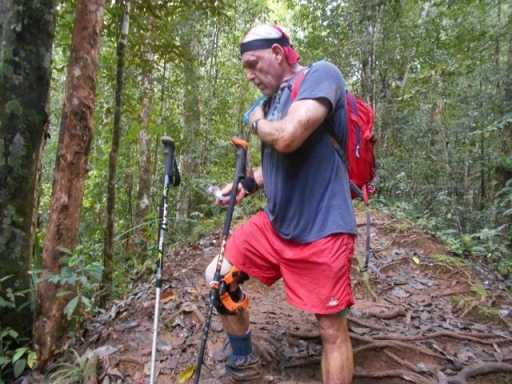 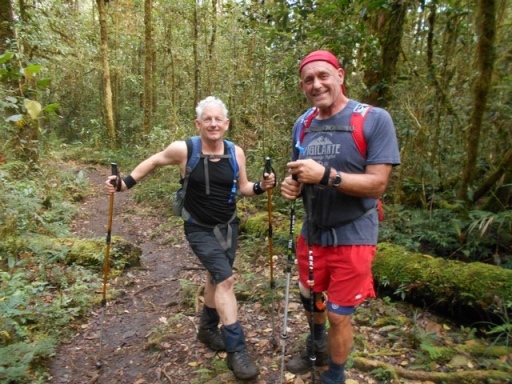 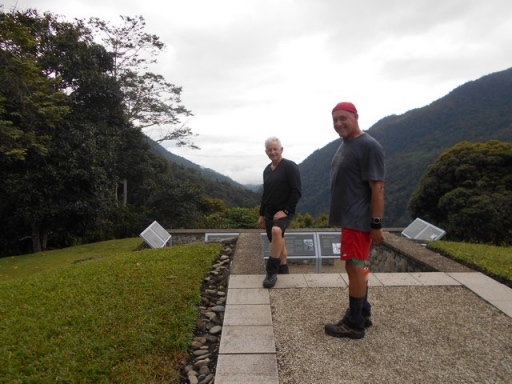 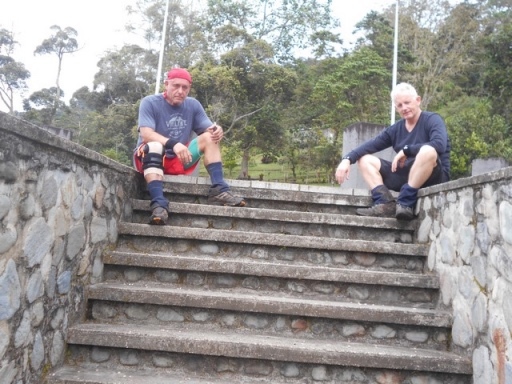 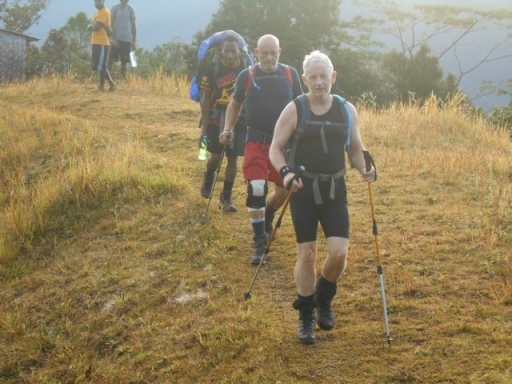 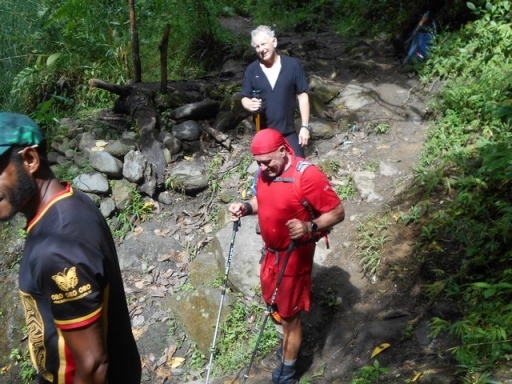 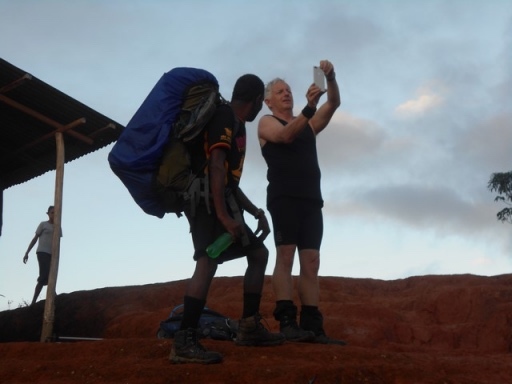 No doubt a huge challenge for these two trekkers but for Ramsey the winner of our last Kokoda Challenge Race in 18 hours non stop, he loves a fast pace. 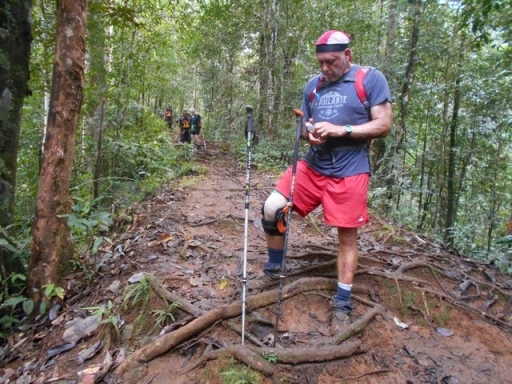 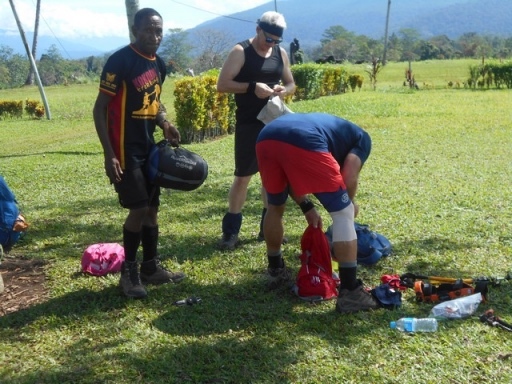 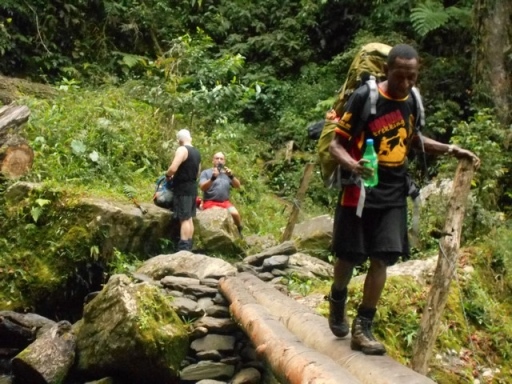 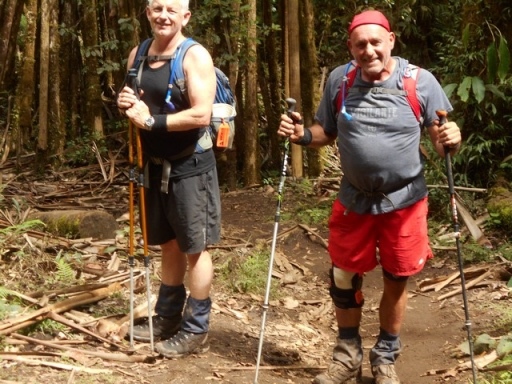 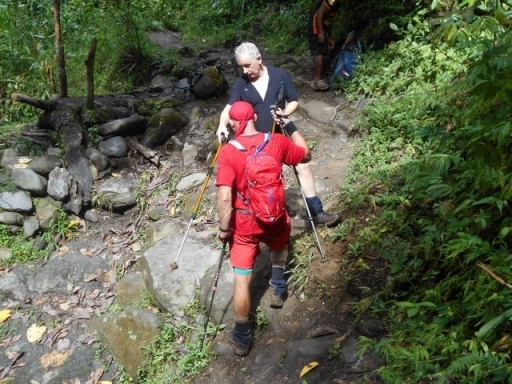 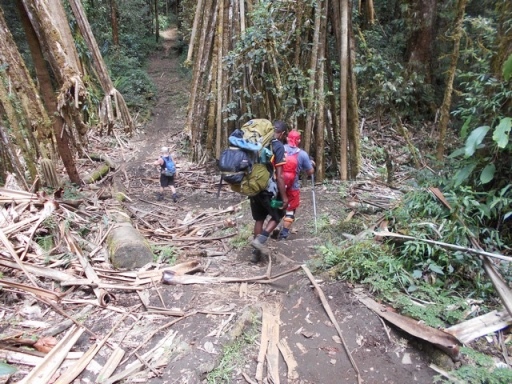 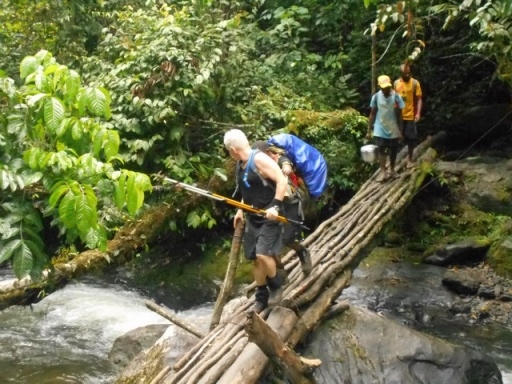 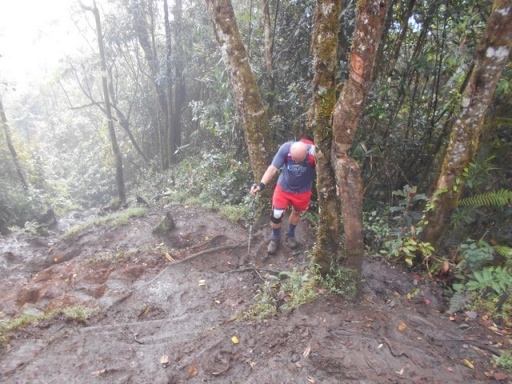 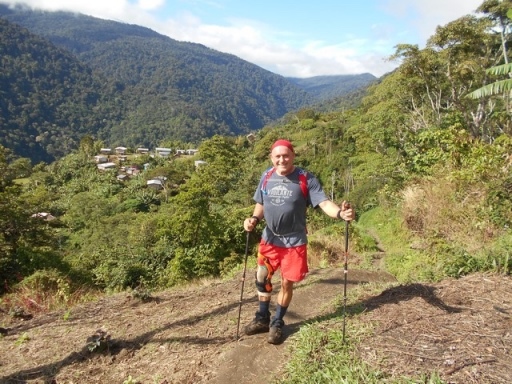 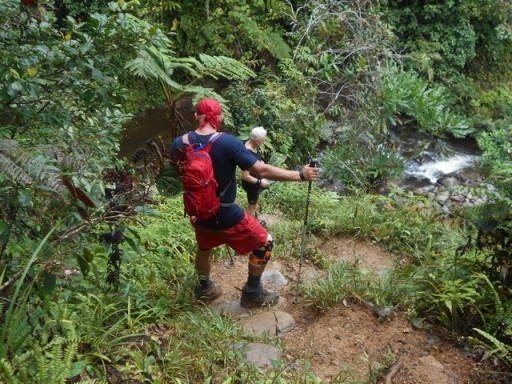 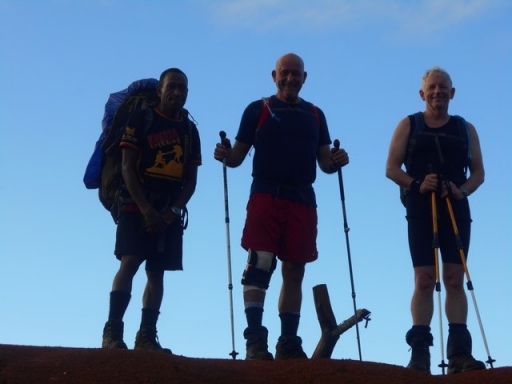 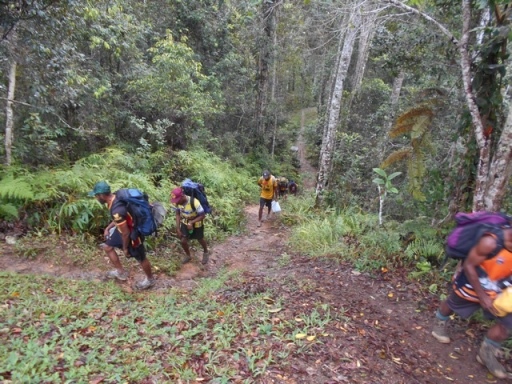 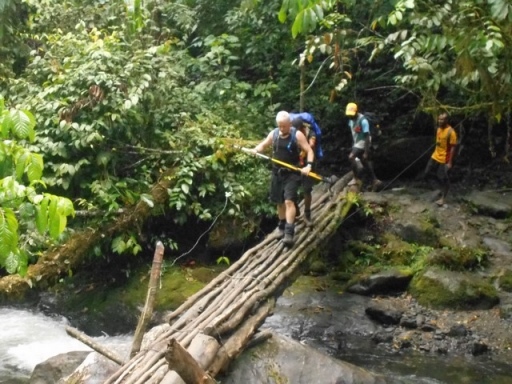 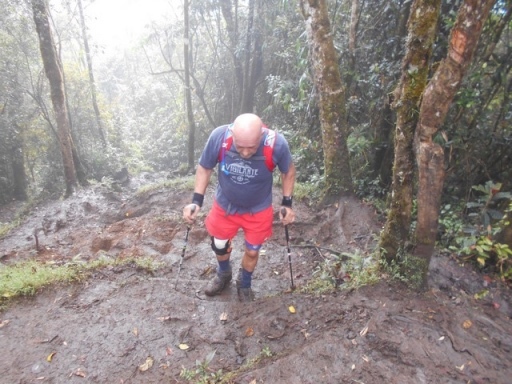 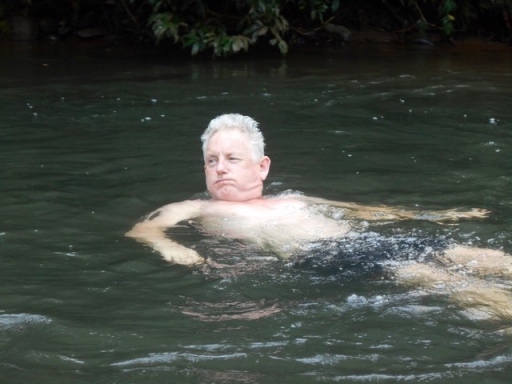 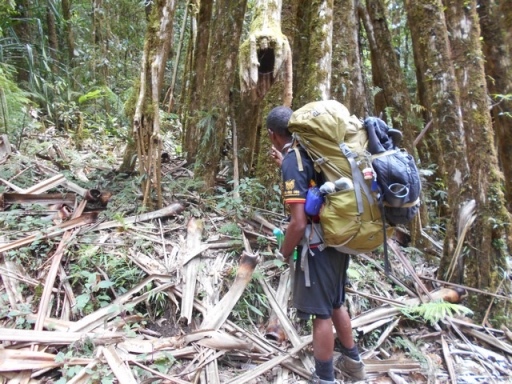 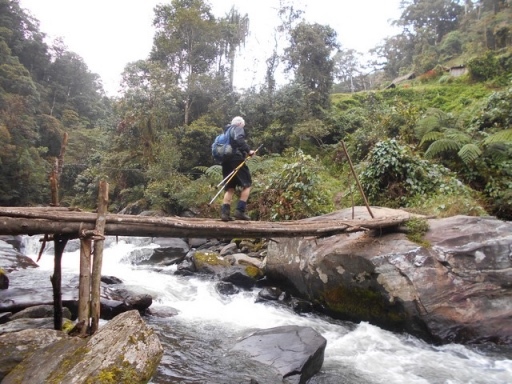 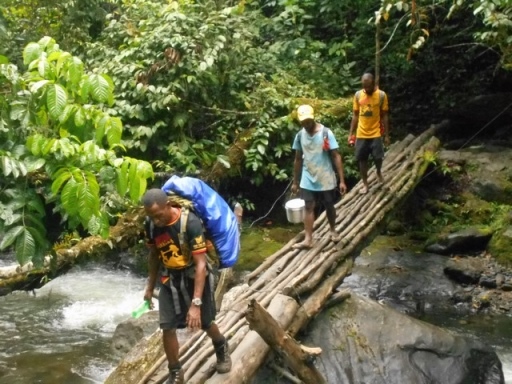 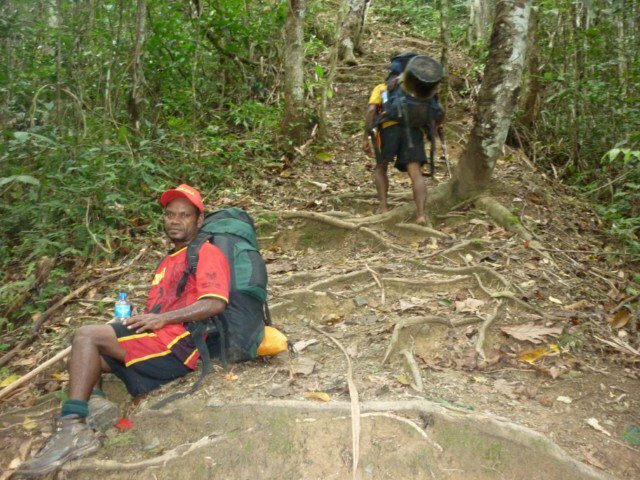 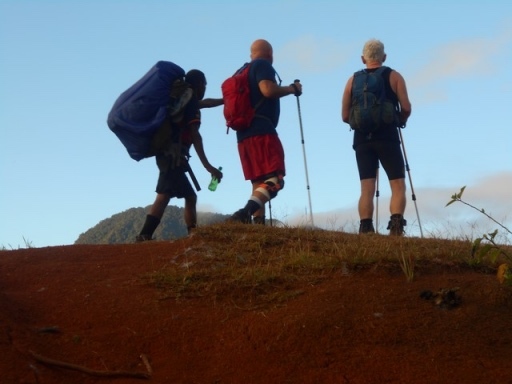 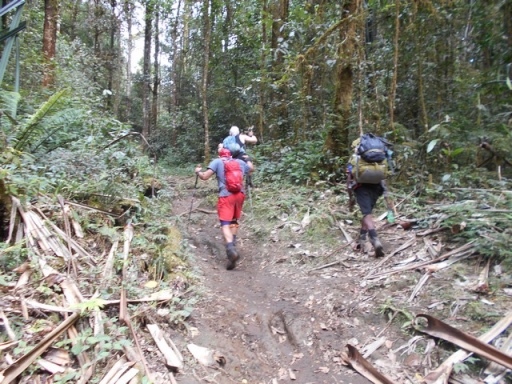 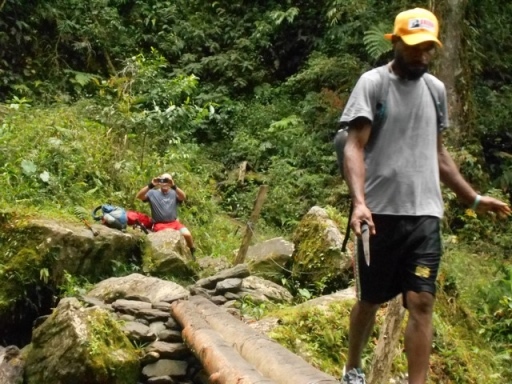 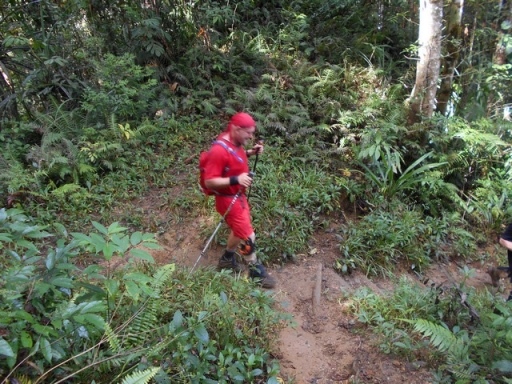 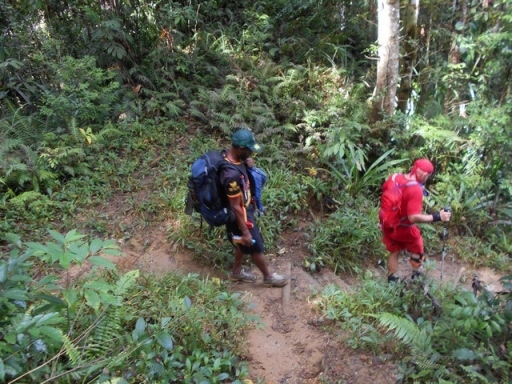 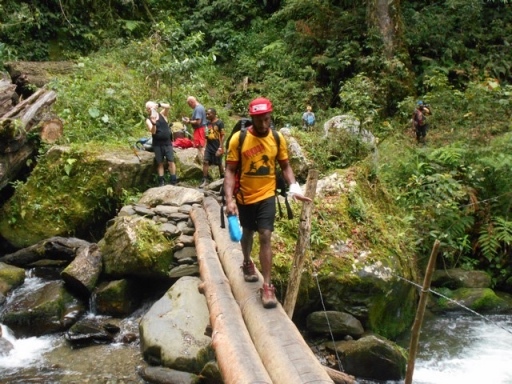 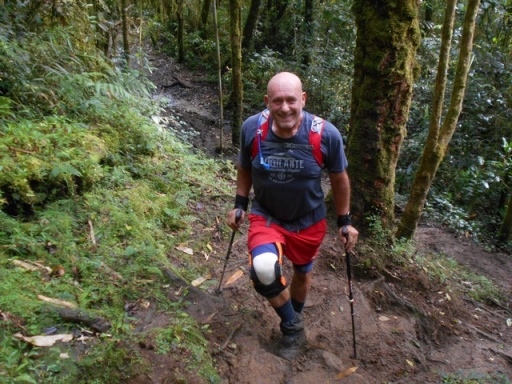 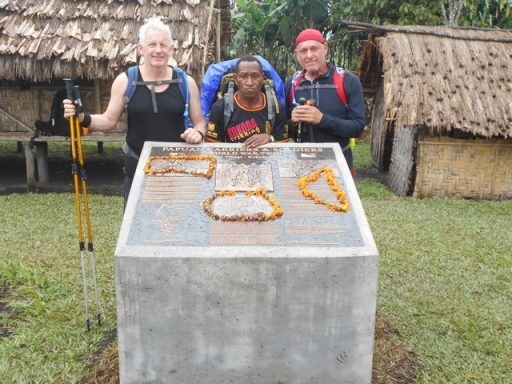 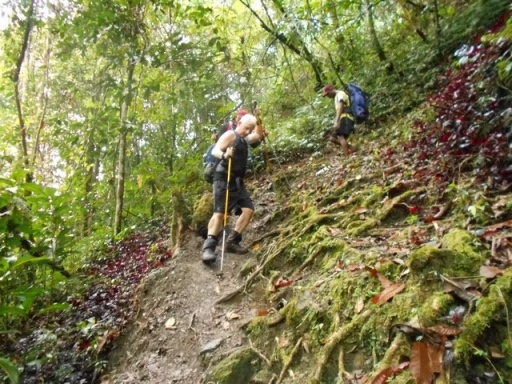 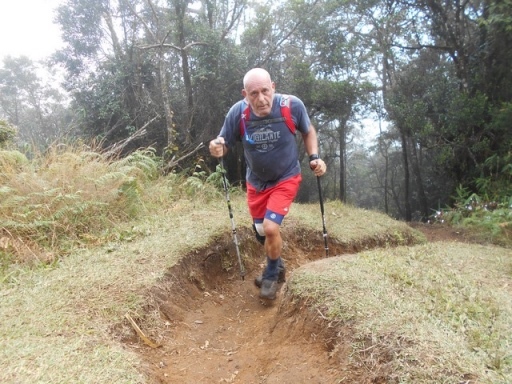 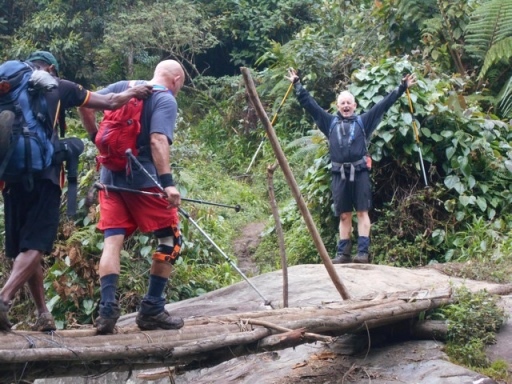 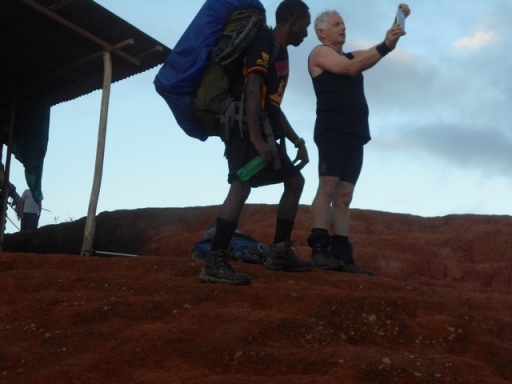 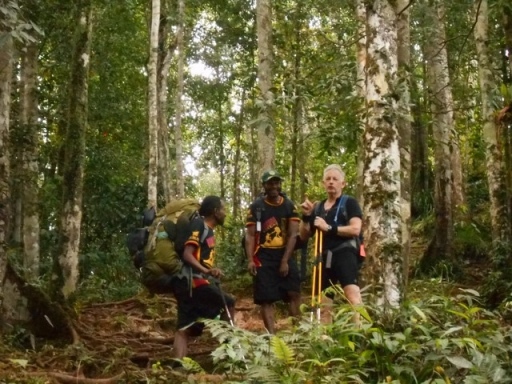 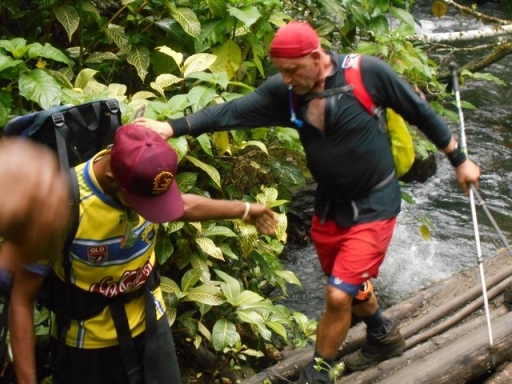 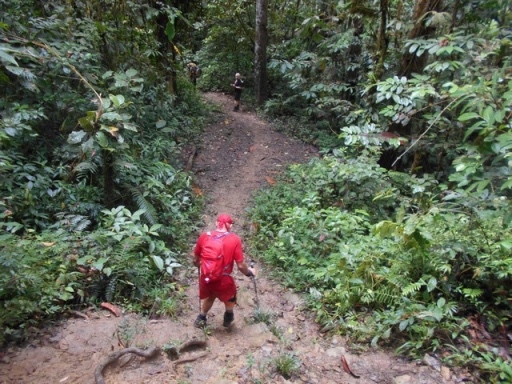 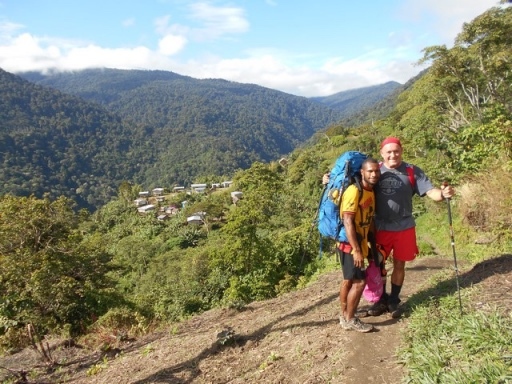 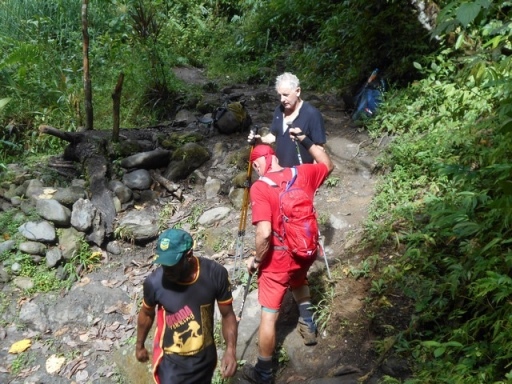 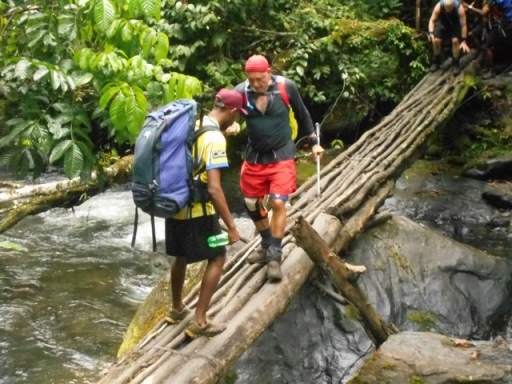 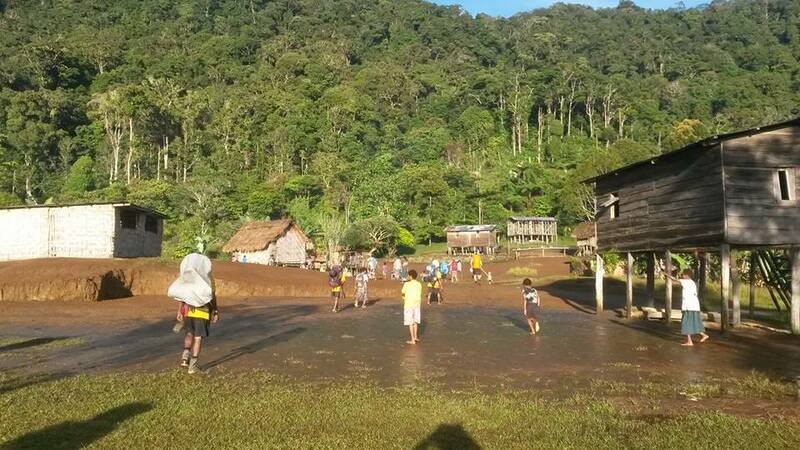 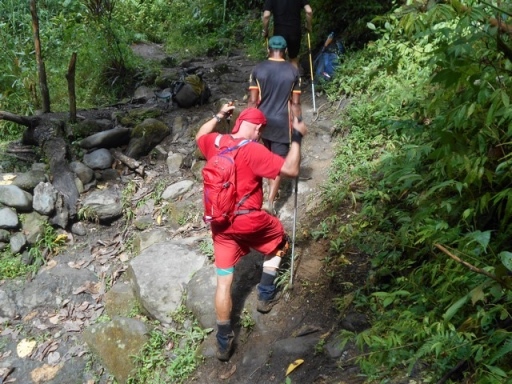 Three other of our Kokoda Challenge boys are on this trek. 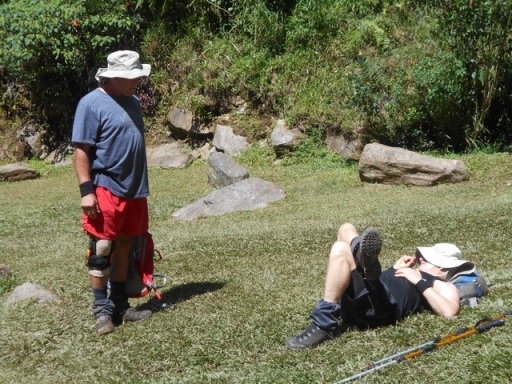 Jessie Aire, Lancelot and Mathias Geroia, all really fit boys. 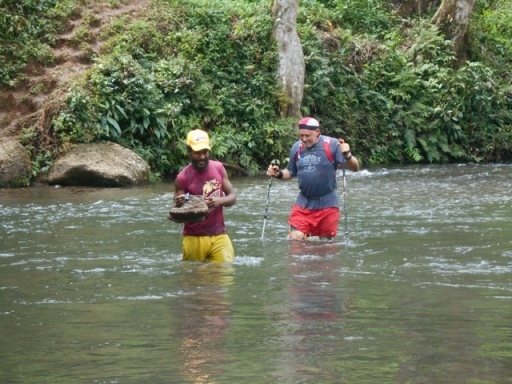 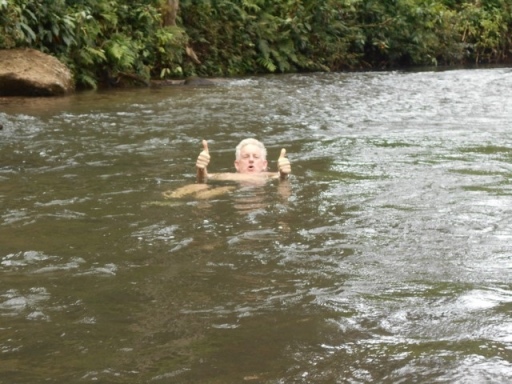 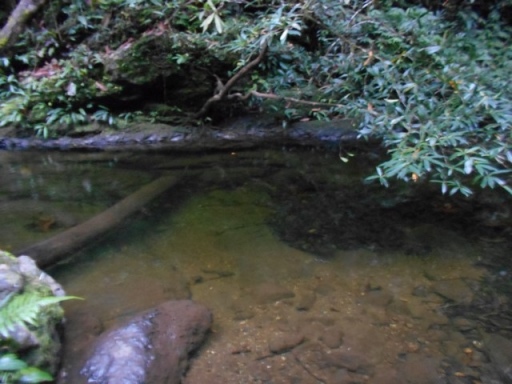 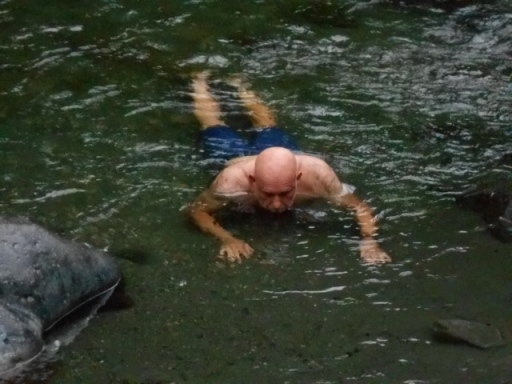 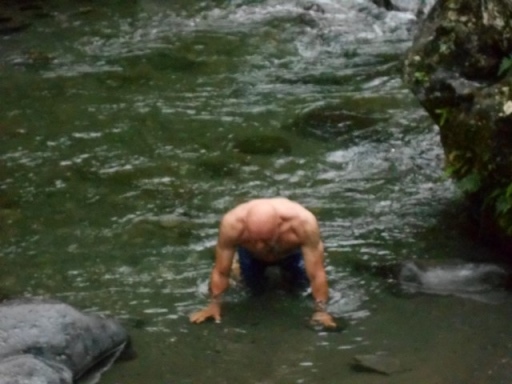 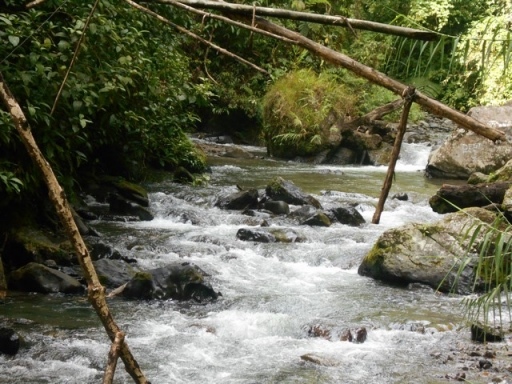 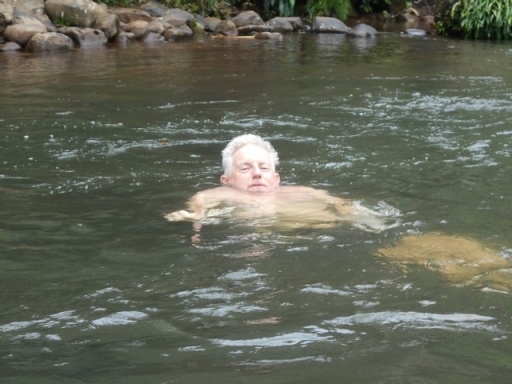 Trek 1149: This trek have now reached Ua’Ule Creek and decided to stop there for the night. 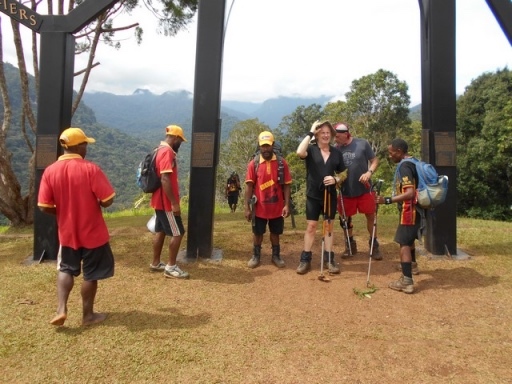 Approx 5-6 hours tomorrow should see them off the trek and under the archway at Owers’ Corner. 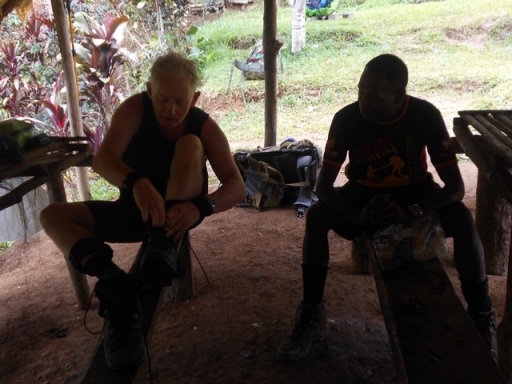 Its been a tough few days for this pair so they are no doubt looking foward to celebrating their successful trek once they hit the finish line.